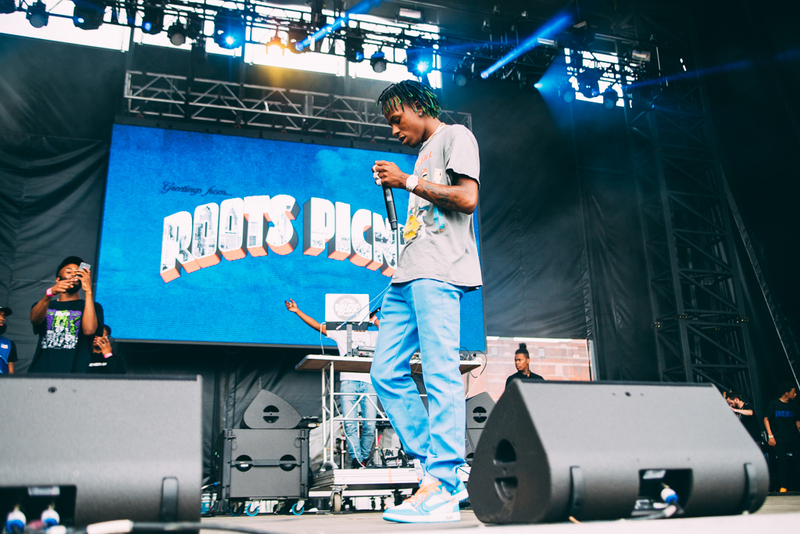 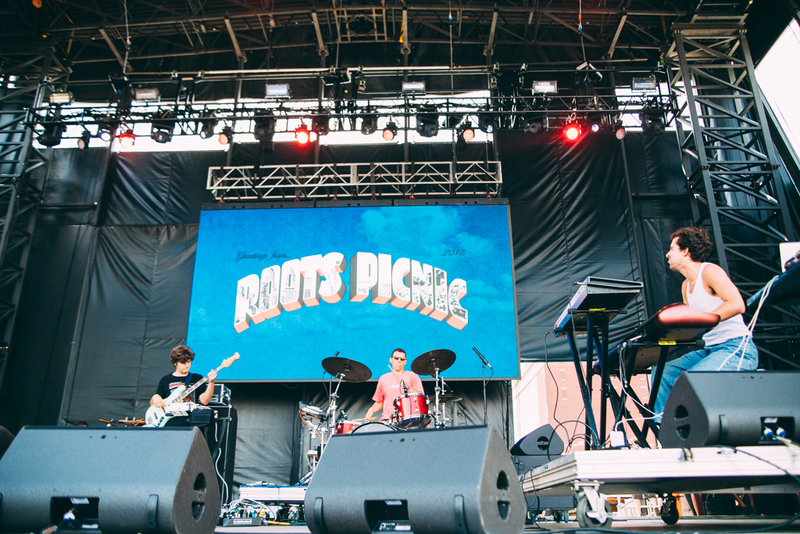 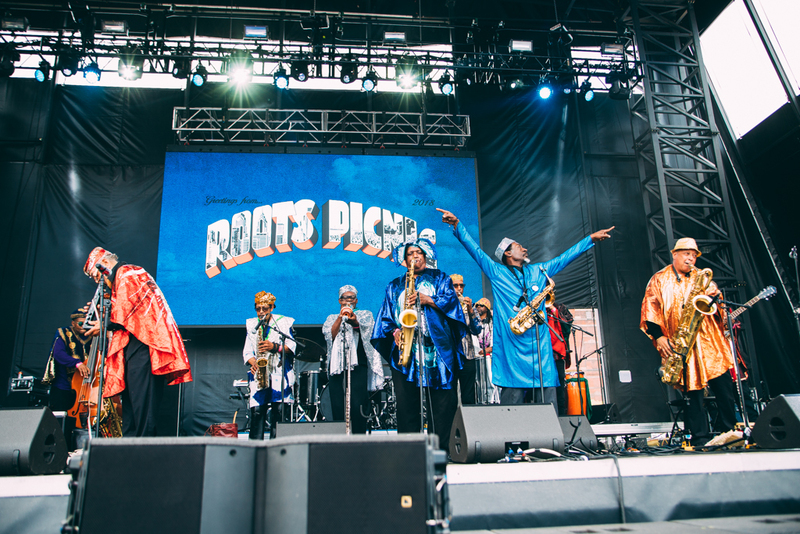 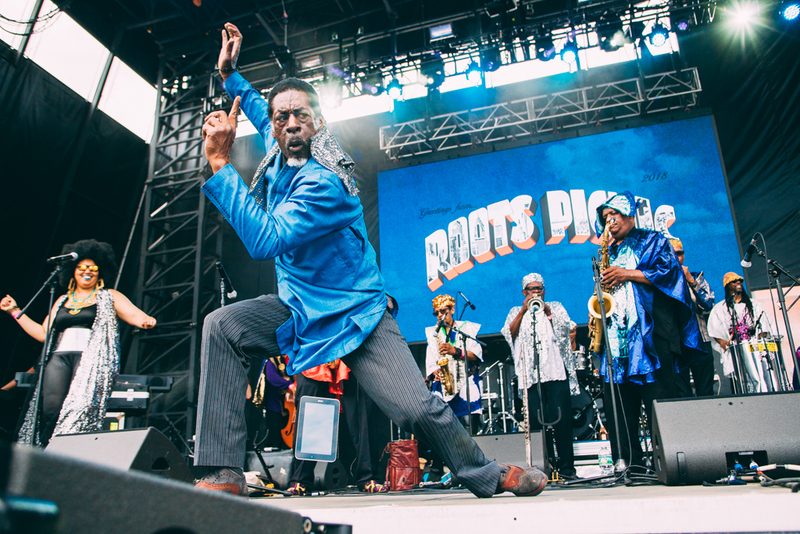 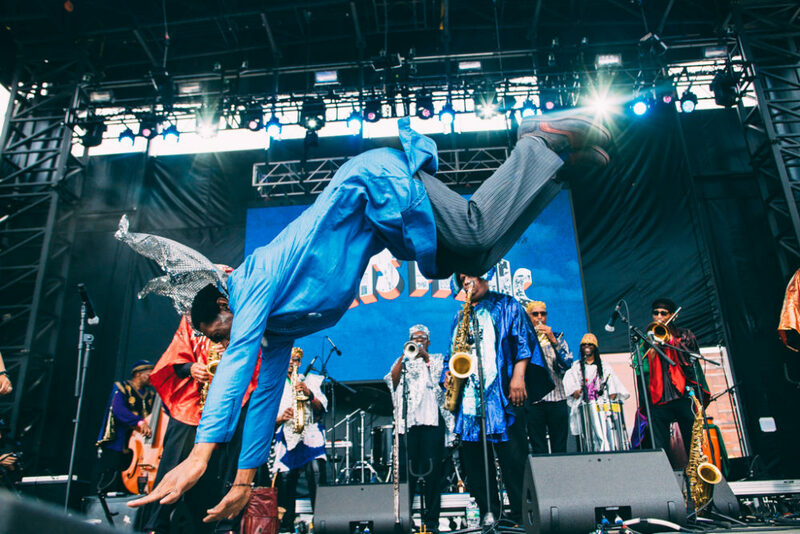 The 11th Annual Roots Picnic in Philly descended on the Festival Pier again this past Saturday with a bunch of looming clouds in tow. 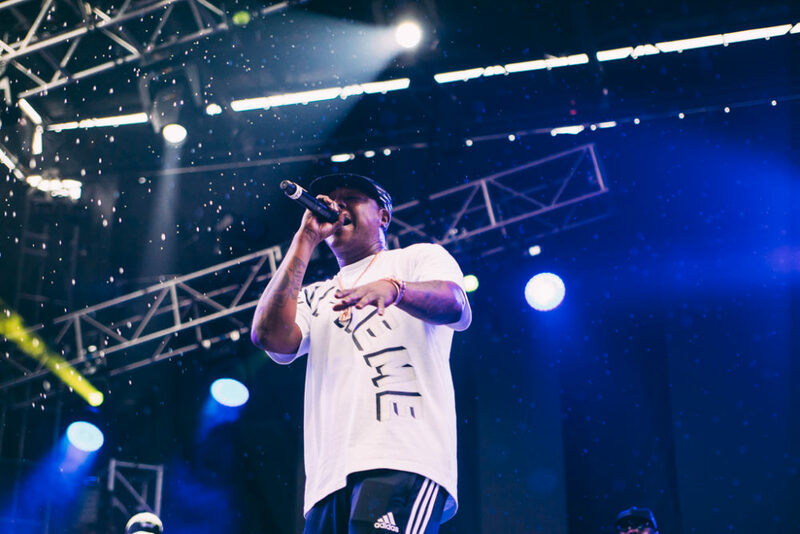 That didn’t stop several thousand music lovers from donning their summer best, strutting their stuff and dancing til the monsoon rains washed the music away. 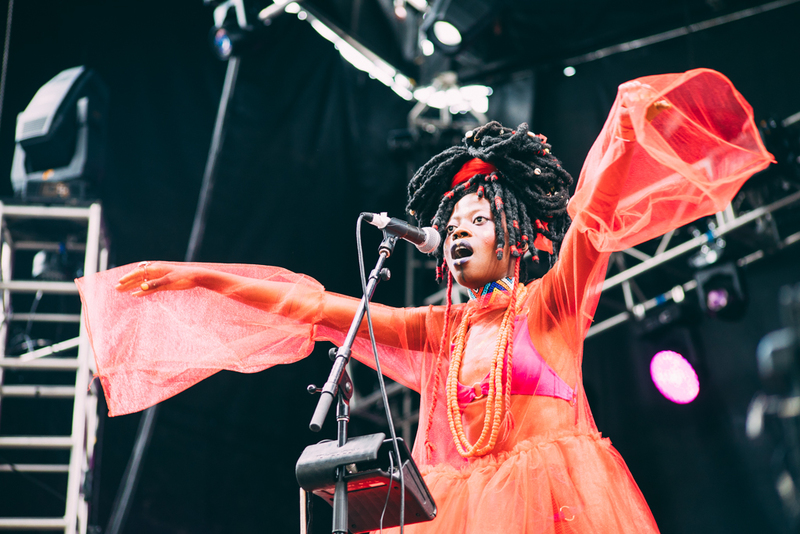 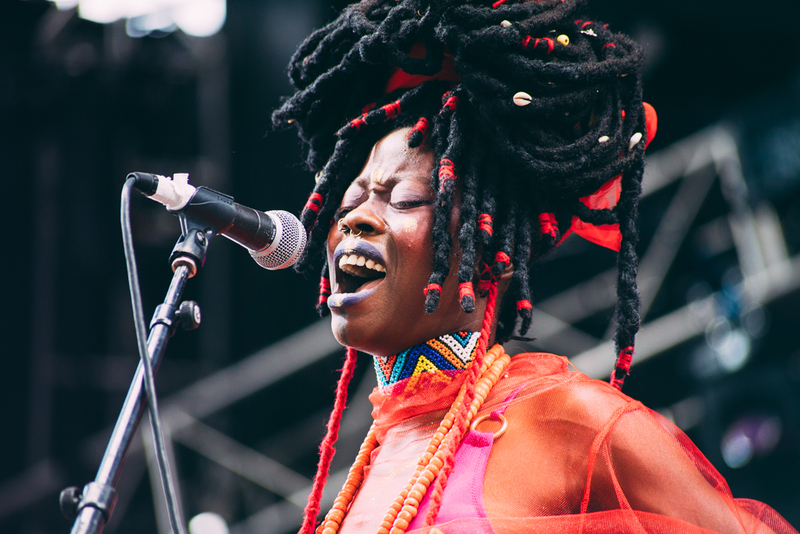 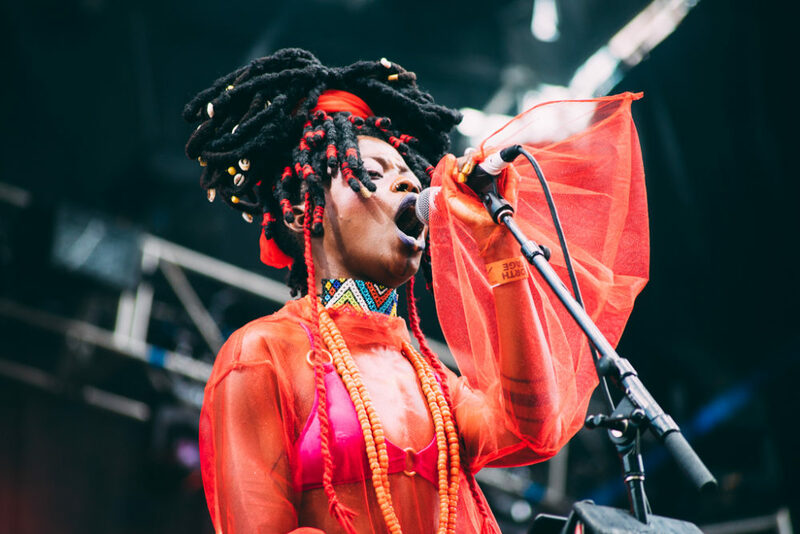 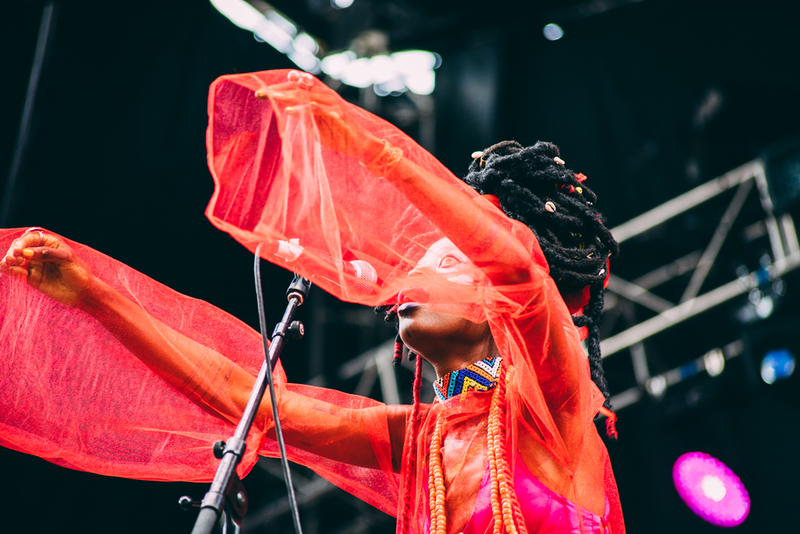 Spirits were high early in the day as Ghananian artist Jojo Abot took the North Stage clad in swaths of red and hot pink sheer fabric and led us through a frenzy of afrobeat, reggae and soul influenced rhythms. 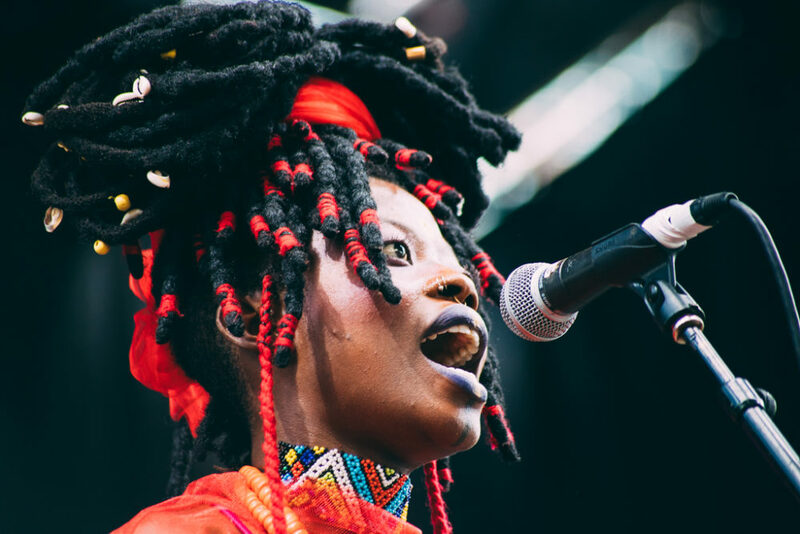 I had the pleasure of catching Jojo Abot perform years ago at le poisson rouge in NYC and she lit up that tiny stage in fine fashion. 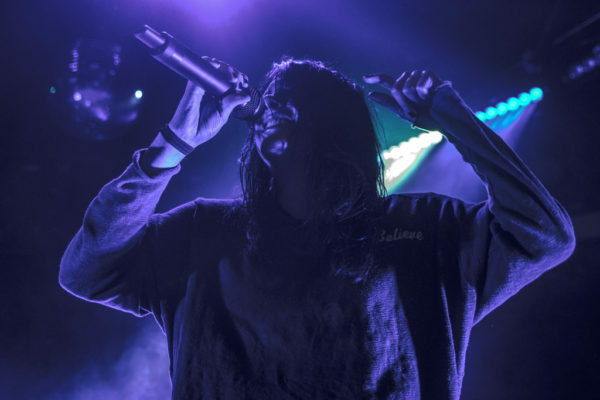 Her performance since then has only intensified in grandeur and I expect to see a lot more huge things from her in the coming years judging from the enthusiastic crowd response. 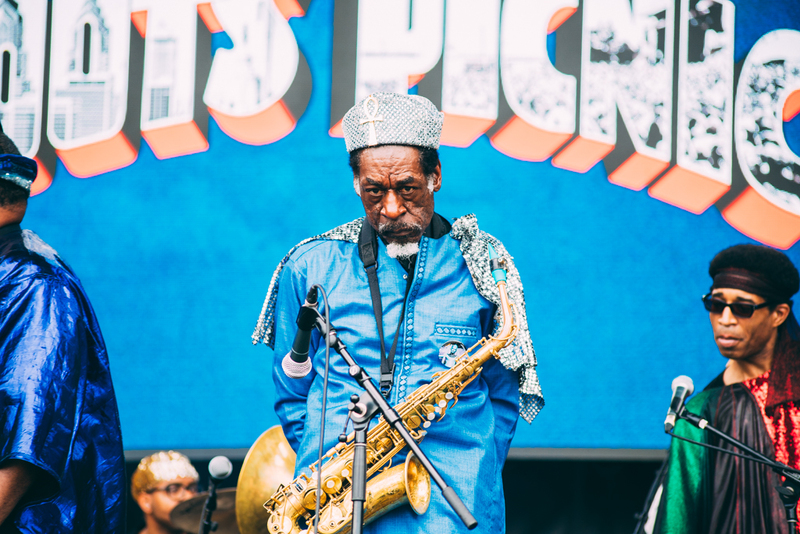 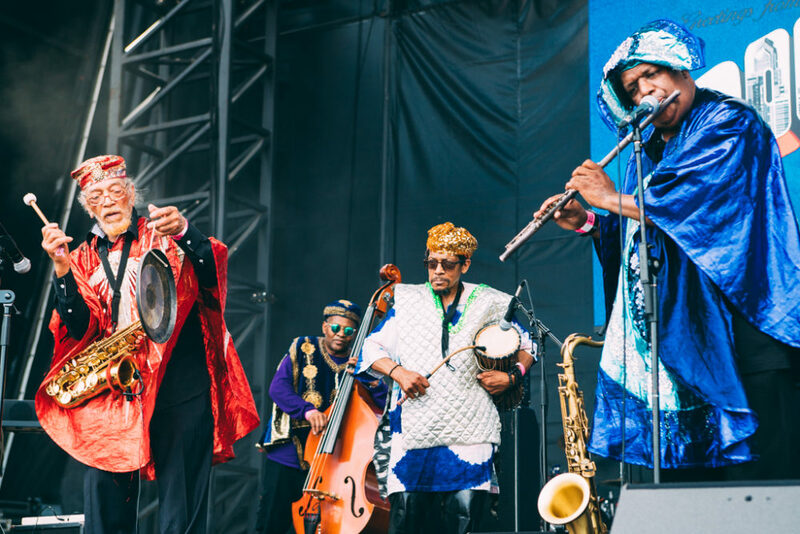 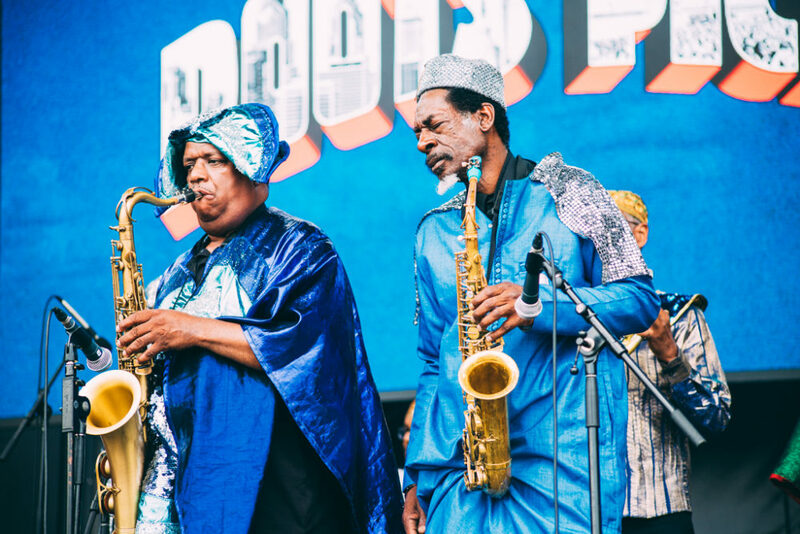 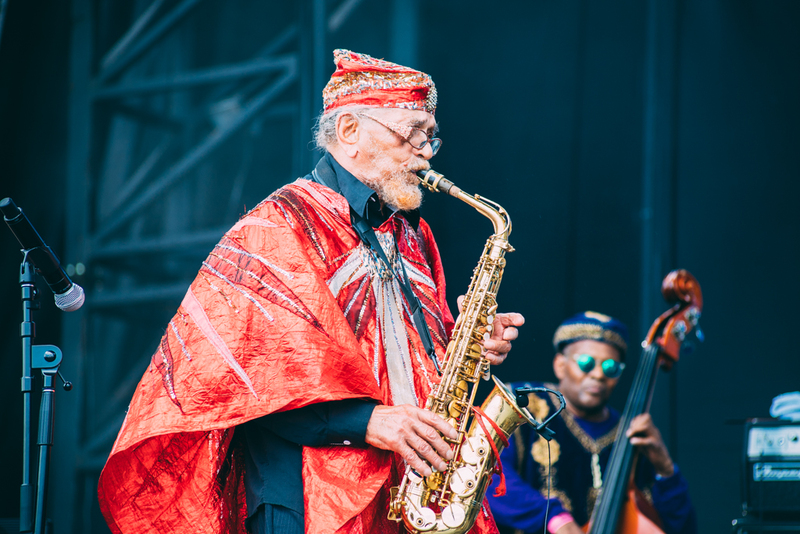 At the South Stage, the crowd packed in tightly to hear the soulful, jazz melodies of Sun Ra Arkestra. 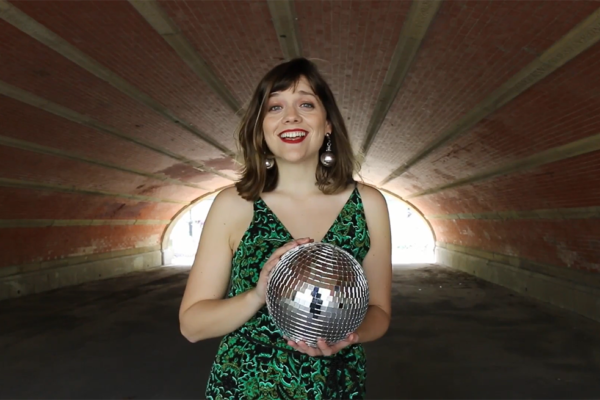 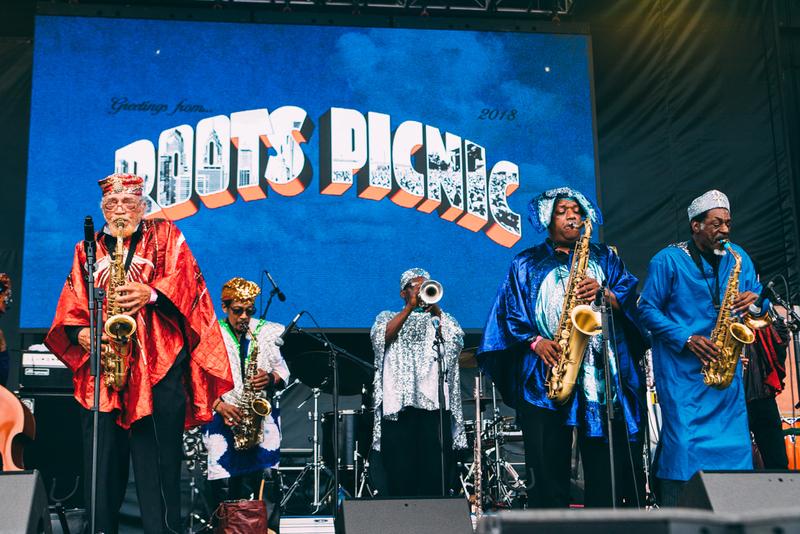 Donning outfits inspired by Egyptian symbolism, scattered with sequins and rhinestones, the band, led by 91 year old alto saxophonist Marshall Allen, launched into a trippy set that would have done Herman Poole Blount proud. 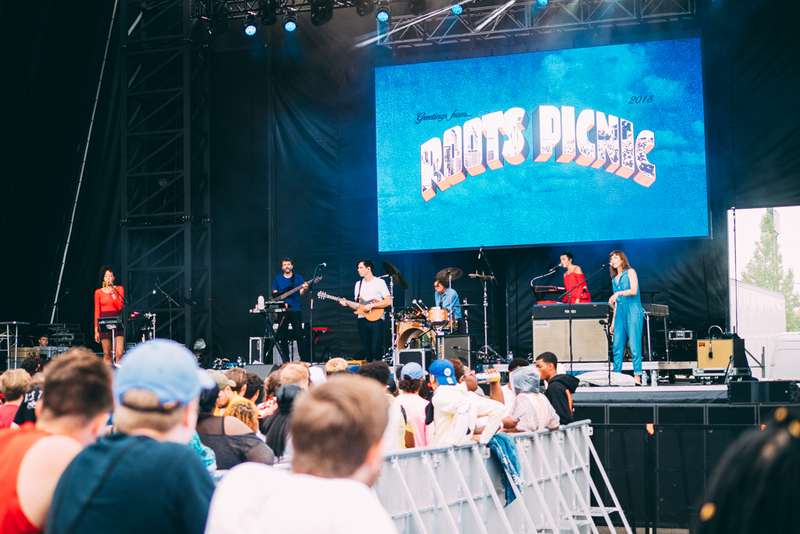 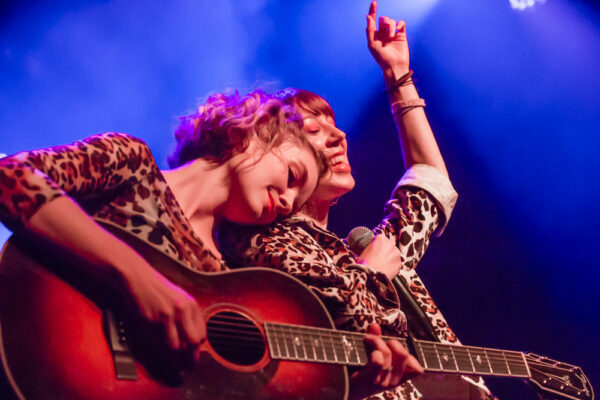 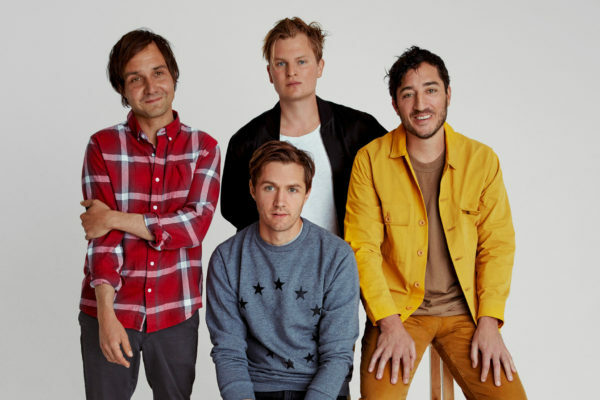 The confused faces on the younger faces of the audience slowly morphed into awe as band members expertly showcased their skills on their respective instruments, and one even coming to the front of the stage for a series of cartwheels and acrobatics. 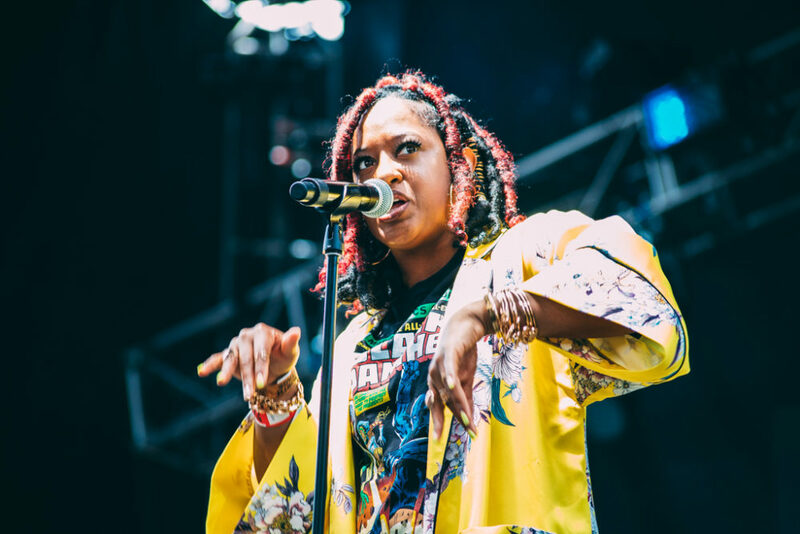 Now I have never actually seen Rapsody perform, but the name alone is more than well respected in the hip hop game at this point. 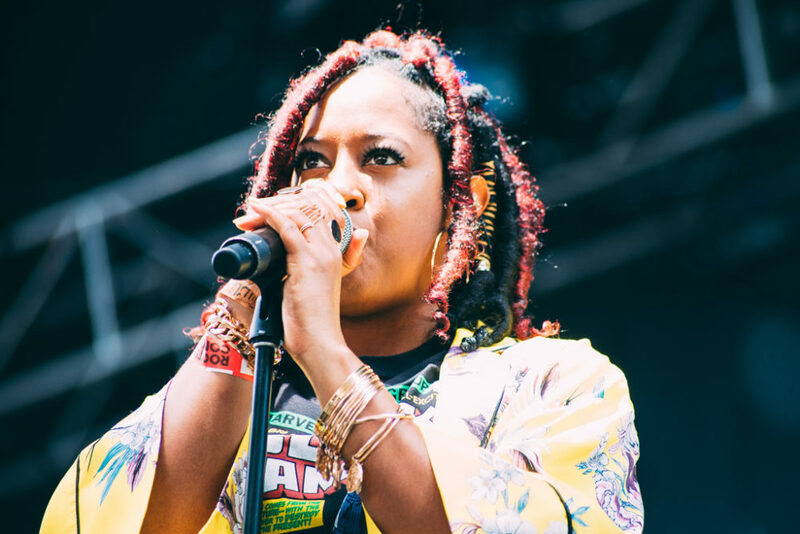 Having spent over a decade honing her craft as an underground lyricist, Rapsody showcased exactly why she is so well respected. 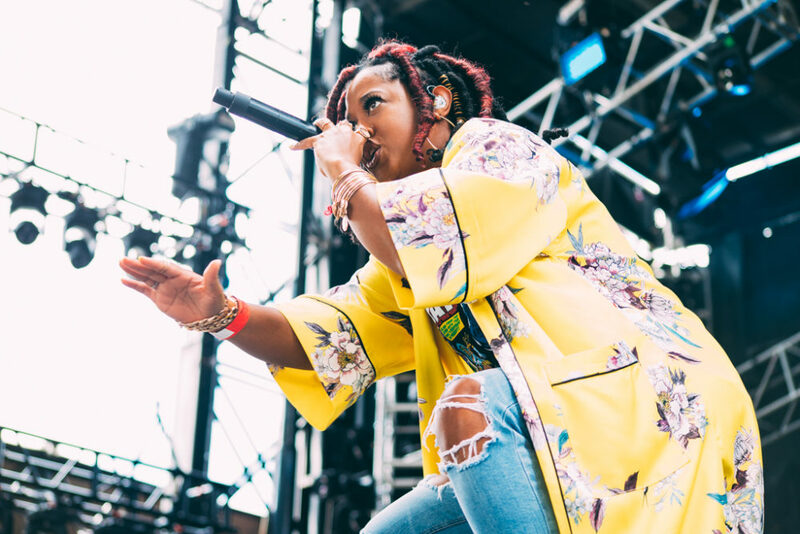 While many of the top radio hits rely on heavy autotune or gimmicky hooks, Rapsody’s easy stage presence and command of the mic and crowd was like a breath of fresh air. 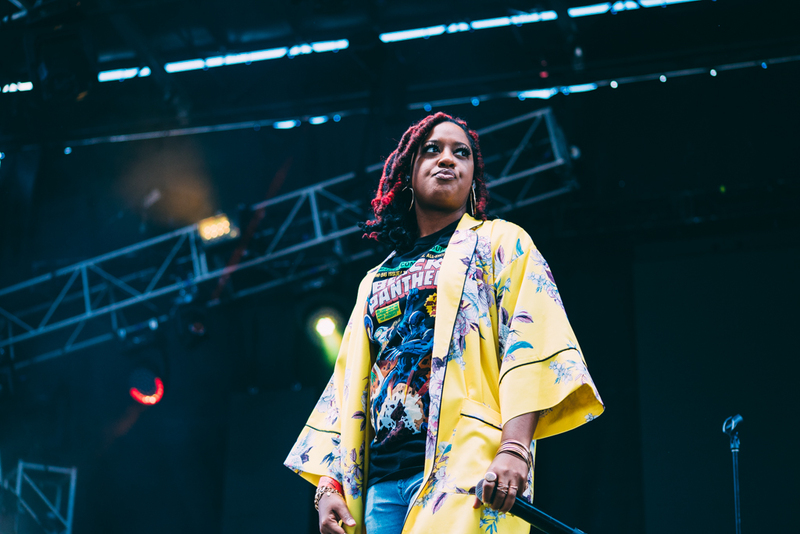 Even her outfit, which is admittedly something I would wear, from the flowing yellow kimono robe, to the Black panther sweatshirt, jeans and PUMA slides, her easy-going, yet fearless and absolutely flawless delivery easily shined a bright light for fellow female MC’s in the game as an example of how to lead with integrity. 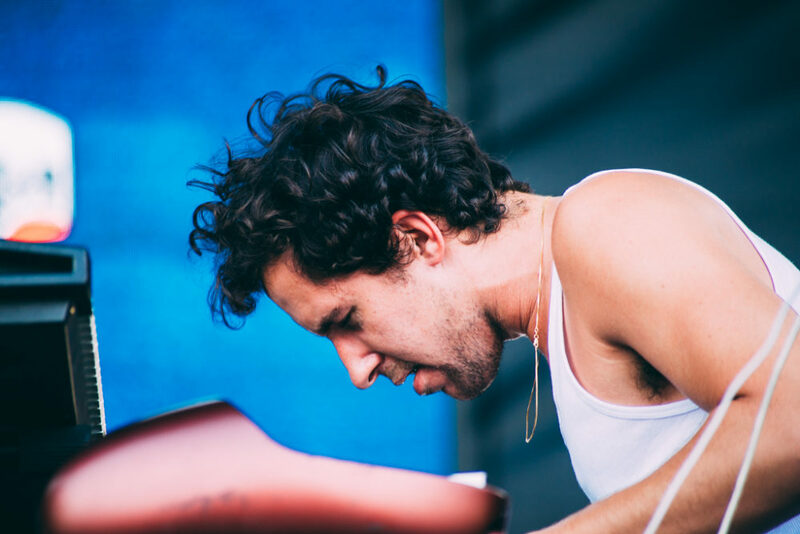 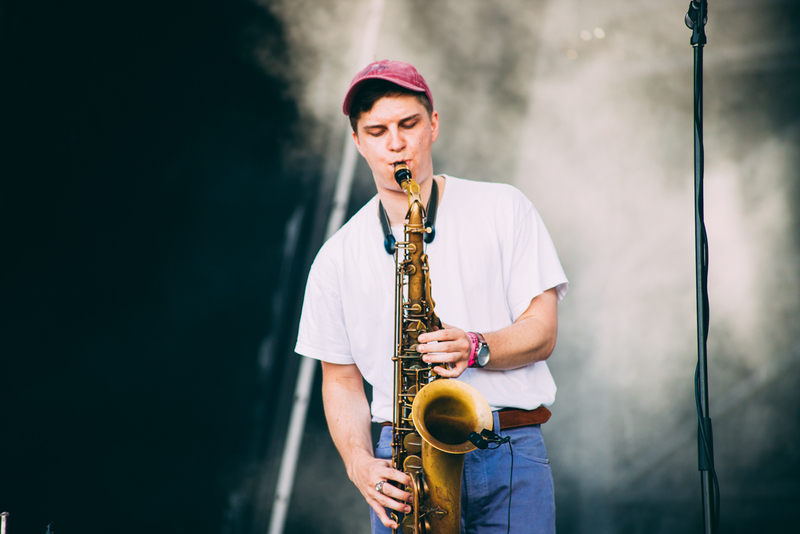 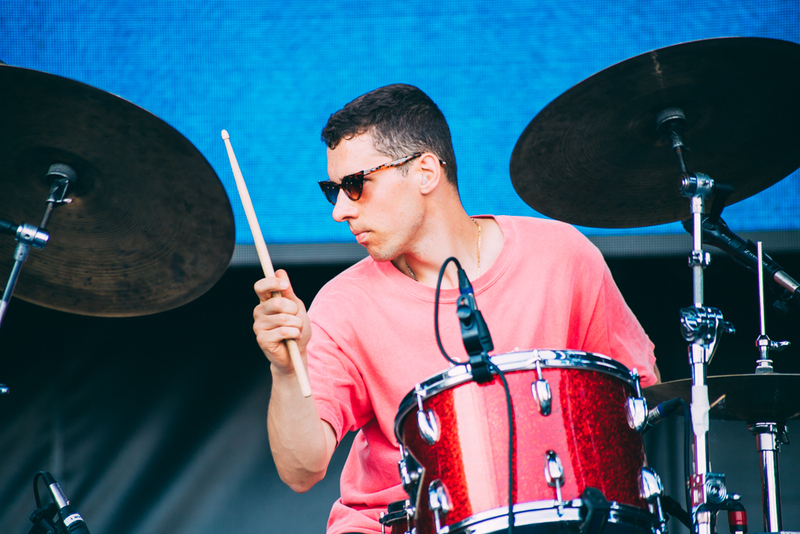 New to my ears, instrumental group BADBADNOTGOOD performed a loose and somewhat improvisational set consisting of keyboards, drums and bass, with a bit of saxophone peppered in for good measure. 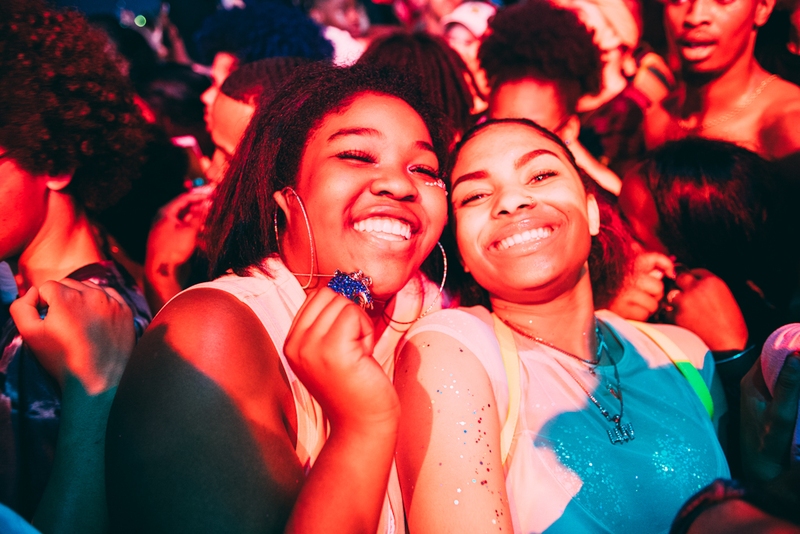 Again I watched the younger faces in the crowd morph to tense smiles and elated grins as their set progressed. 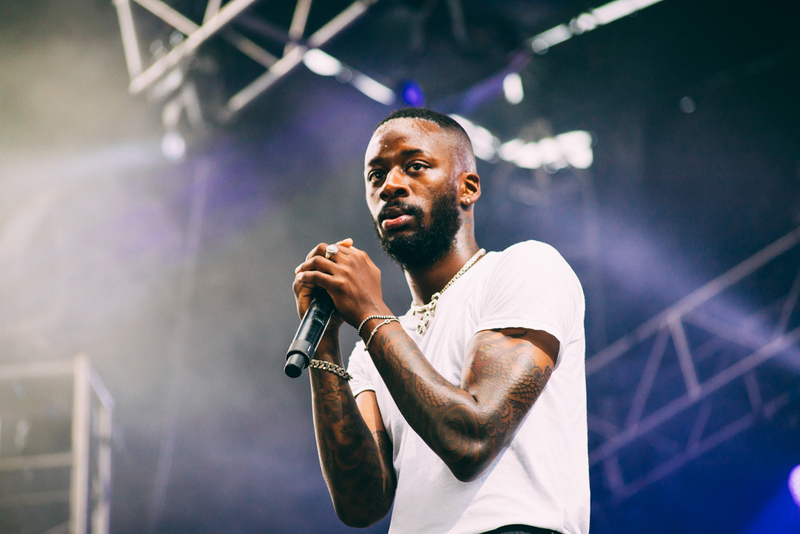 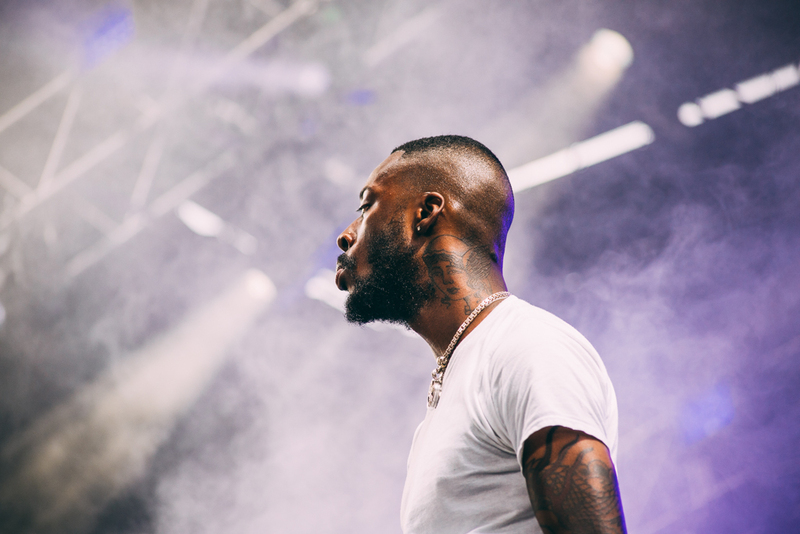 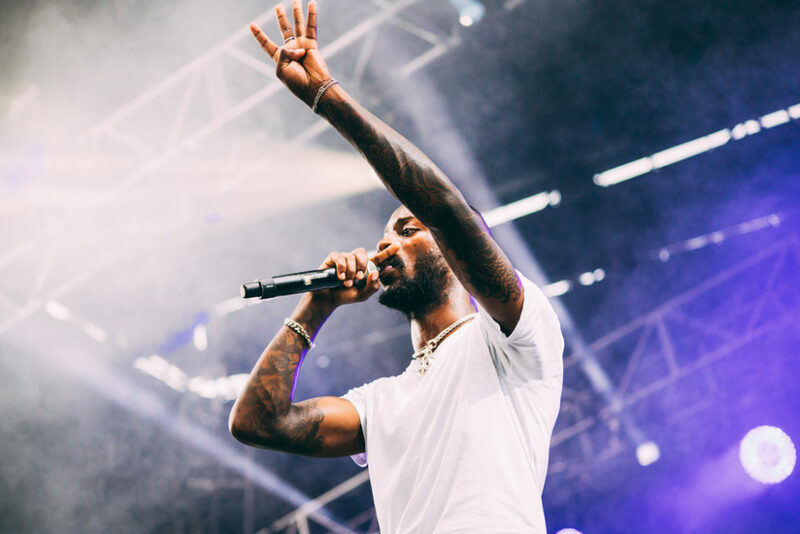 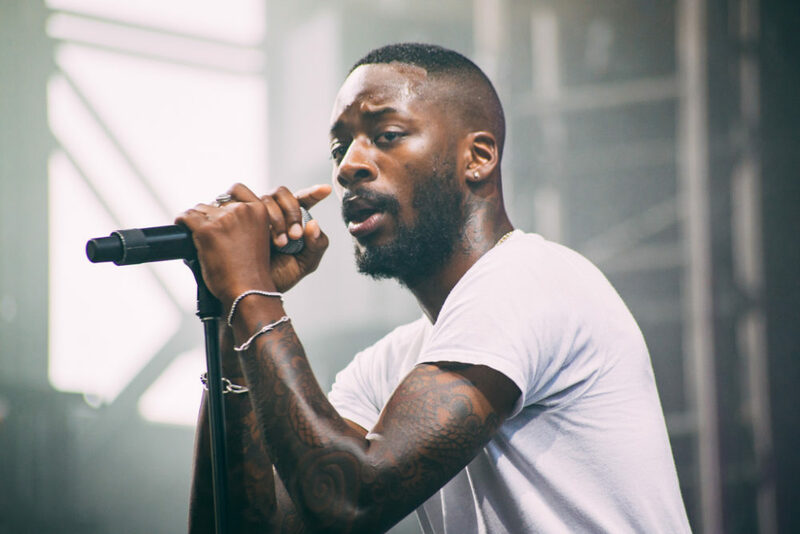 Having caught a Goldlink performance a few years back, I was excited for what he had in store for us on the North Stage, and he certainly did not disappoint. 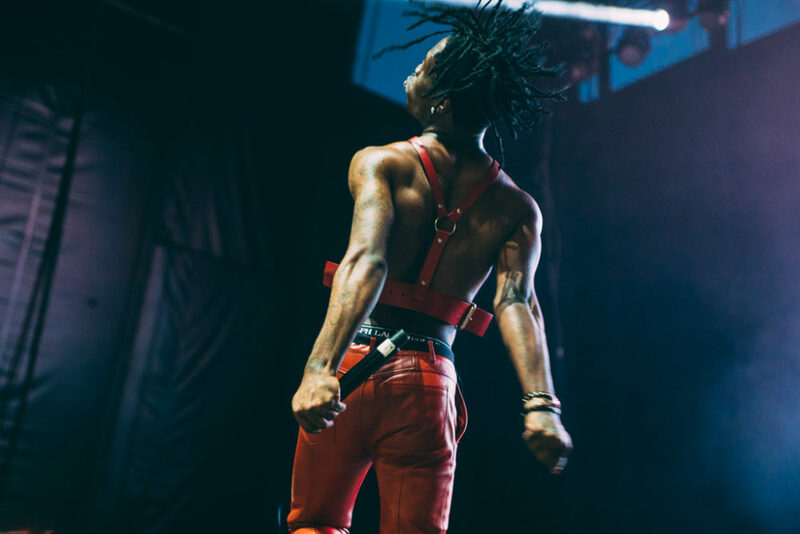 Shedding his jacket after a song, he launched into an all-out assault on our senses, urging everyone within earshot to dance. 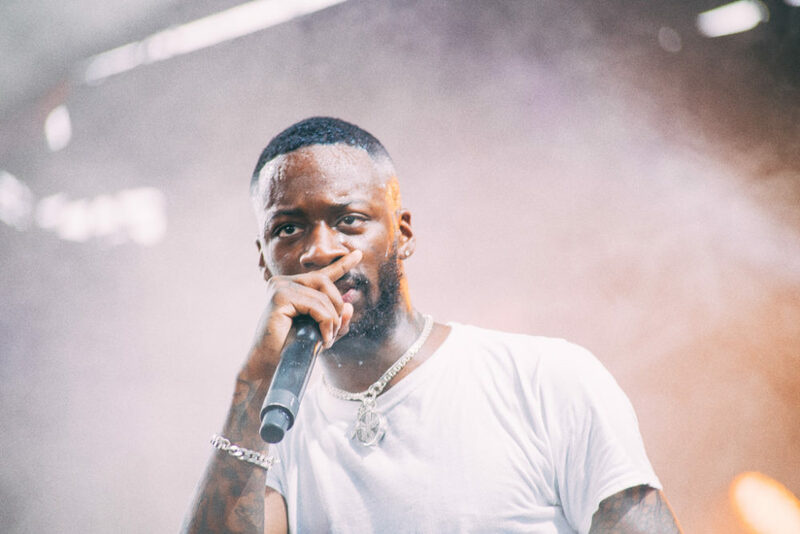 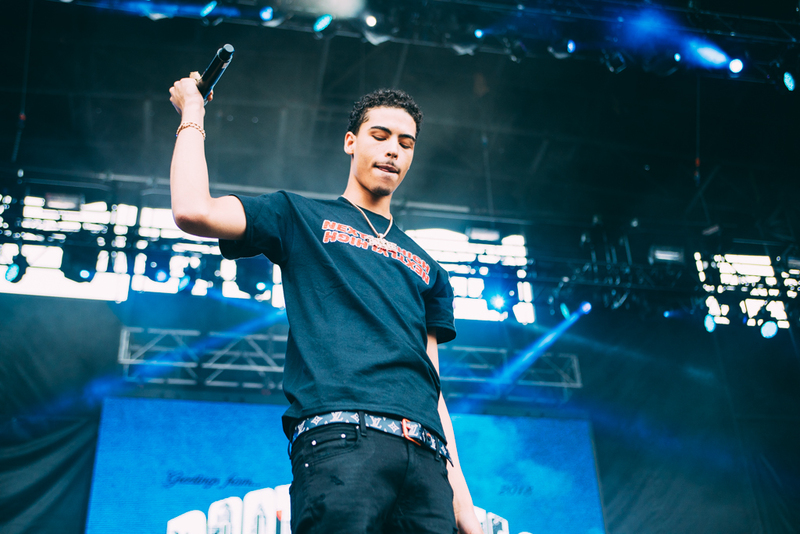 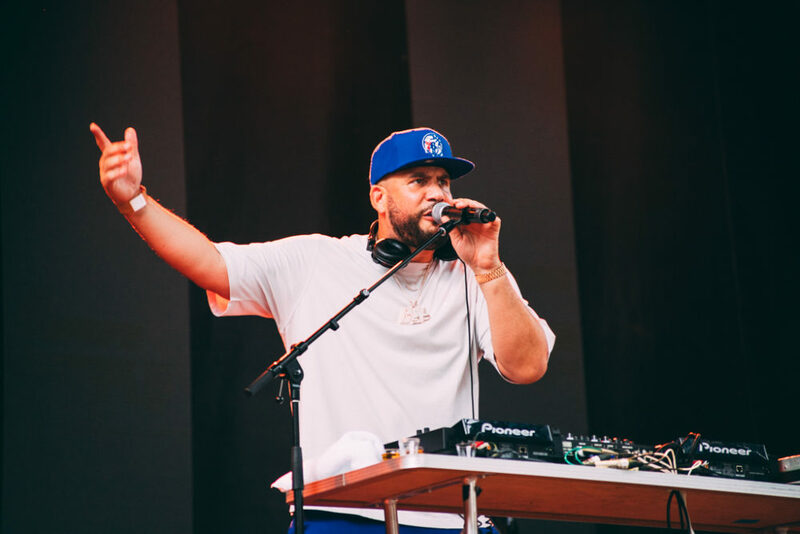 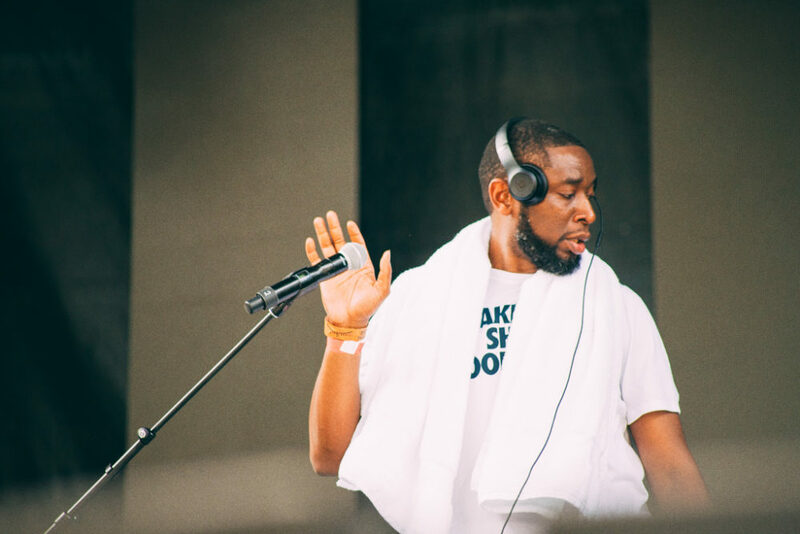 Old fans familiar with his music blended seamlessly with the spectating newcomers eager to hear and see what Goldlink would deliver and it turned into one of the most epic dance parties of the festival. 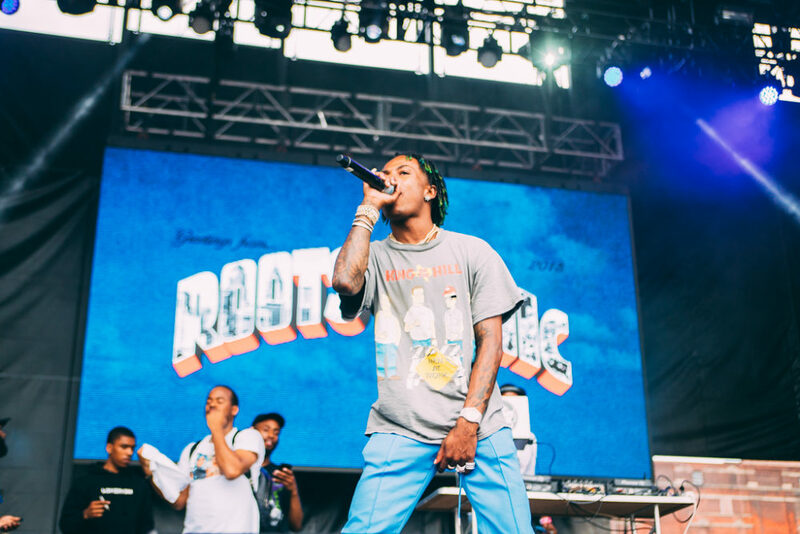 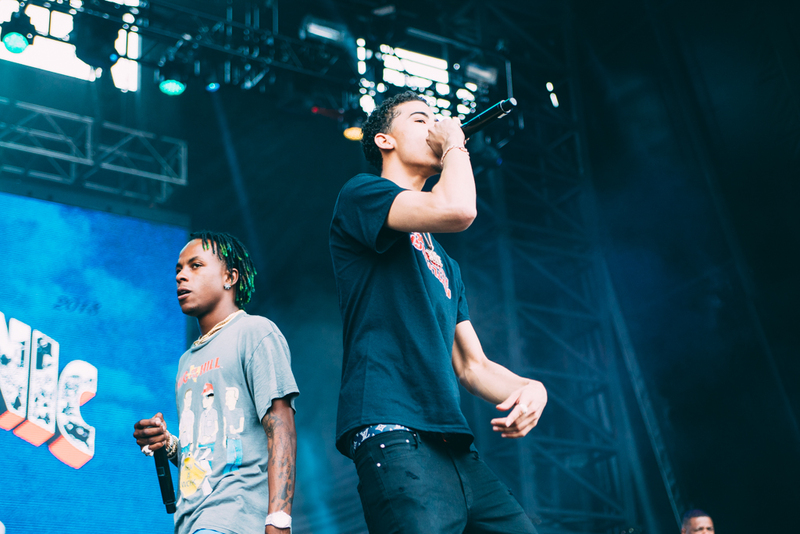 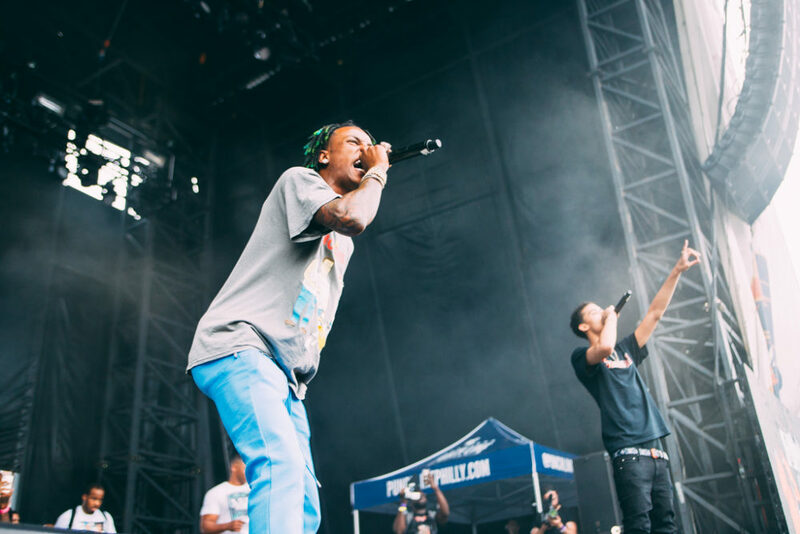 Another duo that I was not familiar with but had the youngsters in the crowd super fired up was Rich The Kid & Jay Critch. 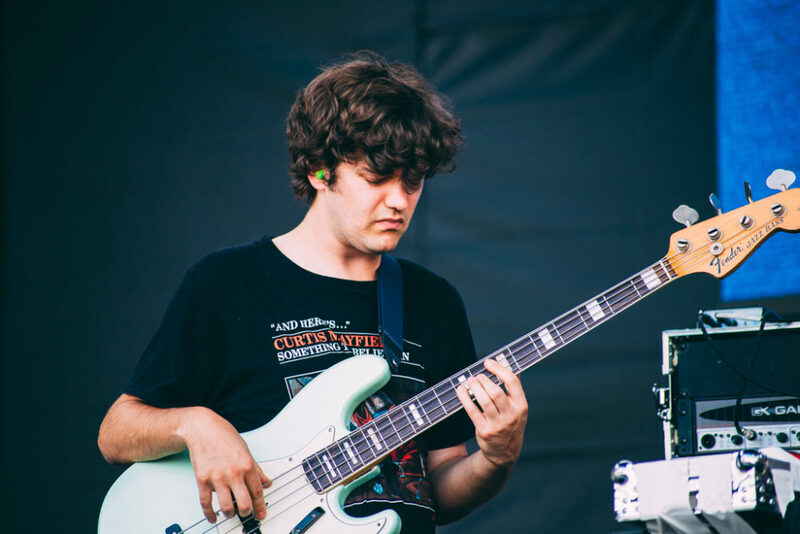 The bass that rattled my ears and chest nearly floored me once their set began, but the crowd happily singing along word for word was more than enough to spread a smile across my face for the entirety of their set. 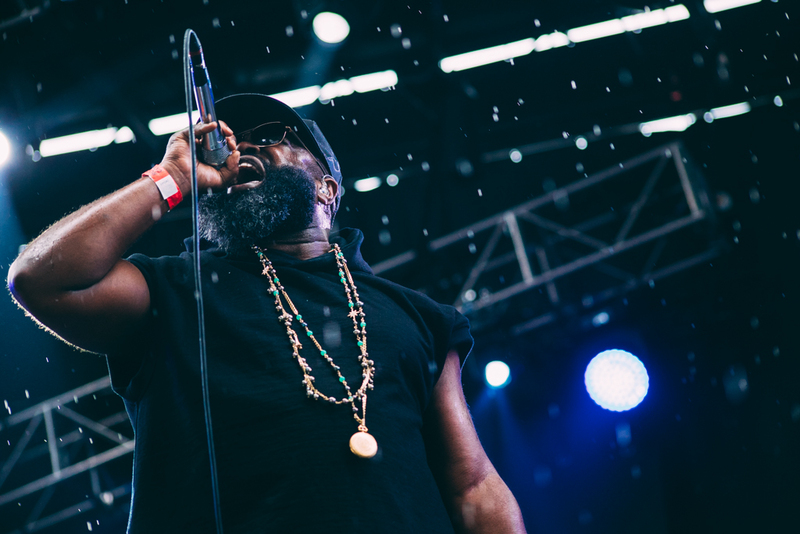 A herd of people quickly made their way over to the North Stage just in time for the Black Thought Live Mixtape. 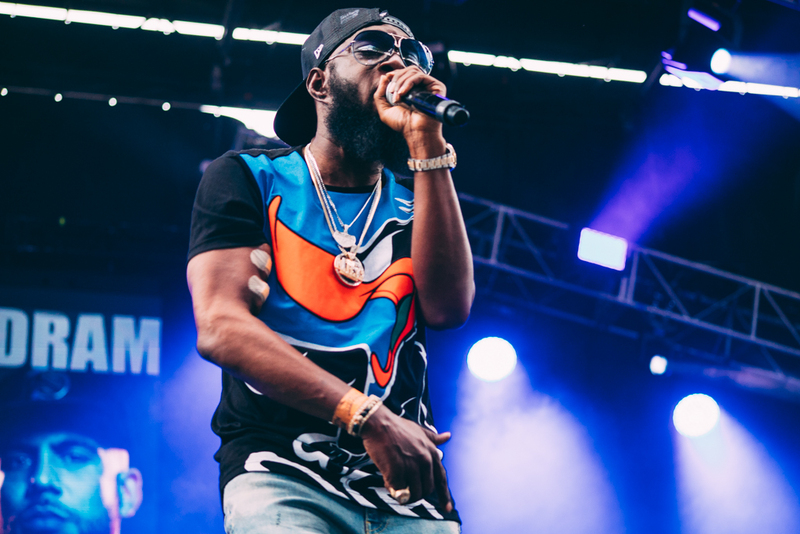 Hot off his debut solo project with producer 9th Wonder, fans were eager to see and hear exactly what Black Thought would do. 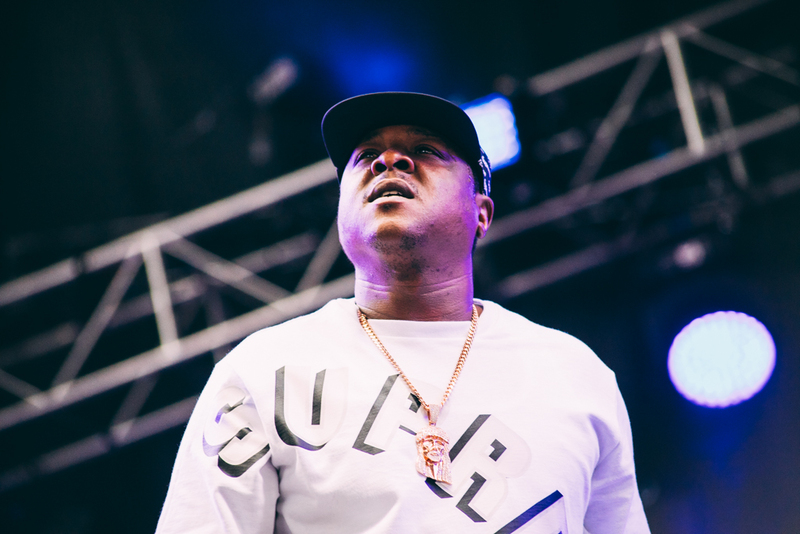 About 10 seconds into the set however, it was easy to see why he has been named one of the “greatest of all time,” and “hands down the best Philly rapper to ever touch a mic.” Thought’s flow is so effortless, whether it’s written rhymes or pure freestyle, but throw rap veterans Jadakiss, Fabolous and Styles P into the mix and you have a premier hip hop show on your hands. 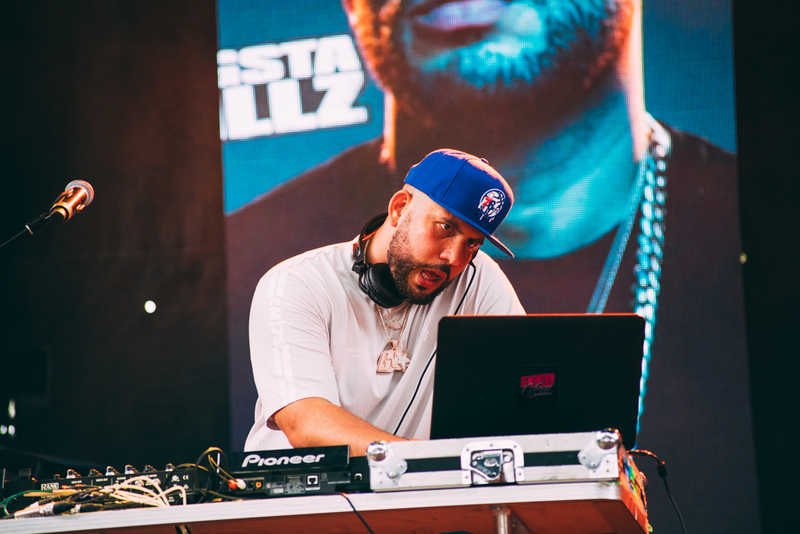 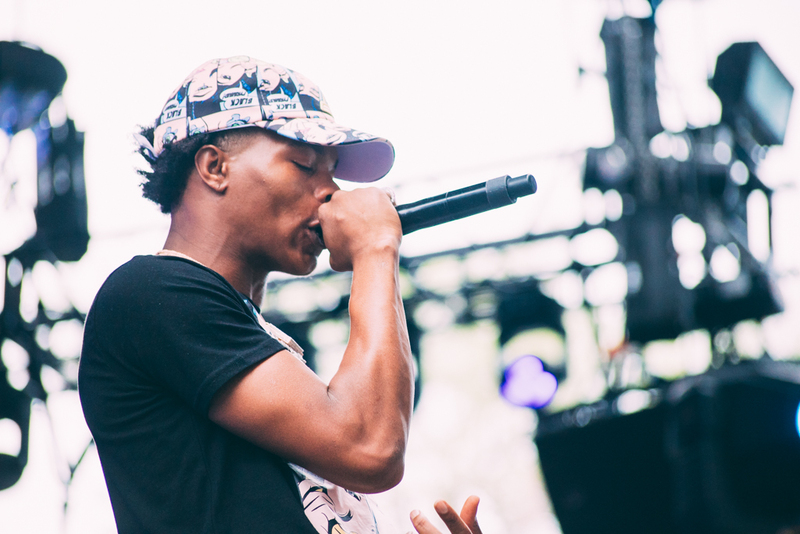 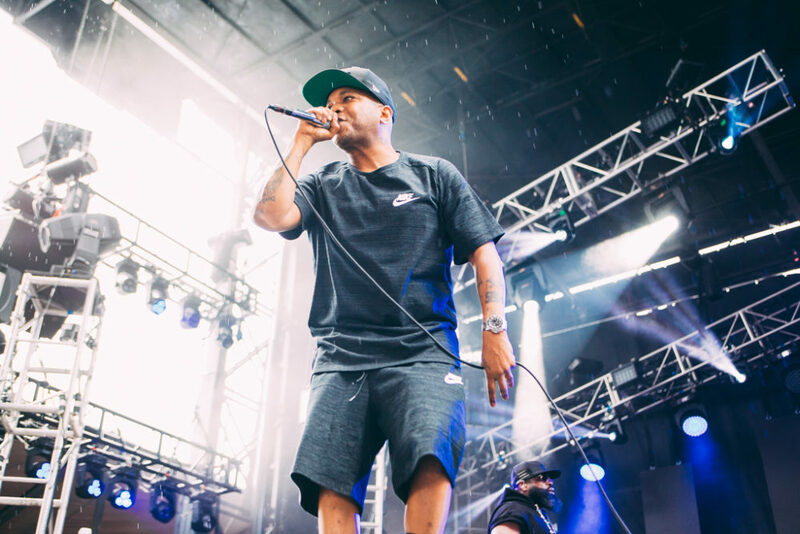 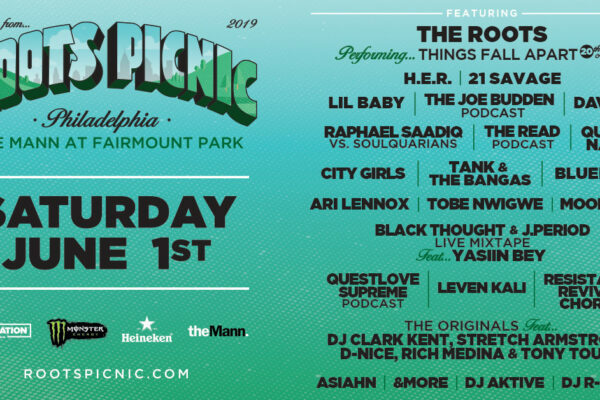 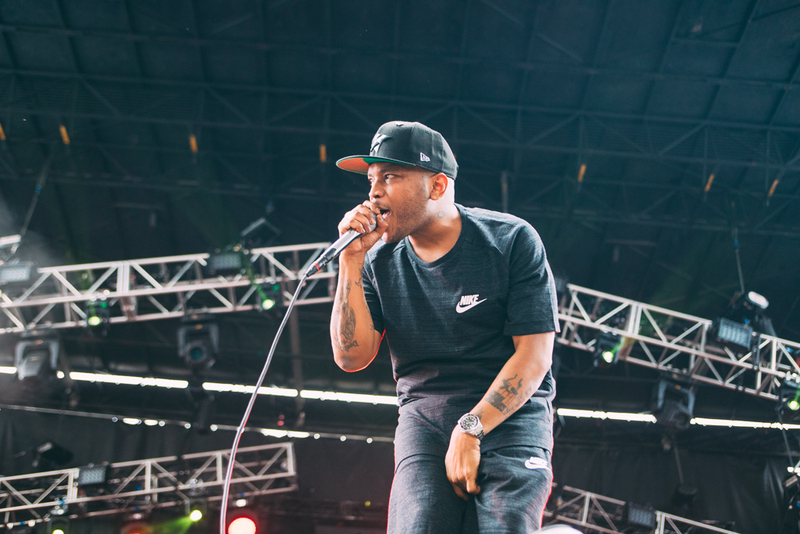 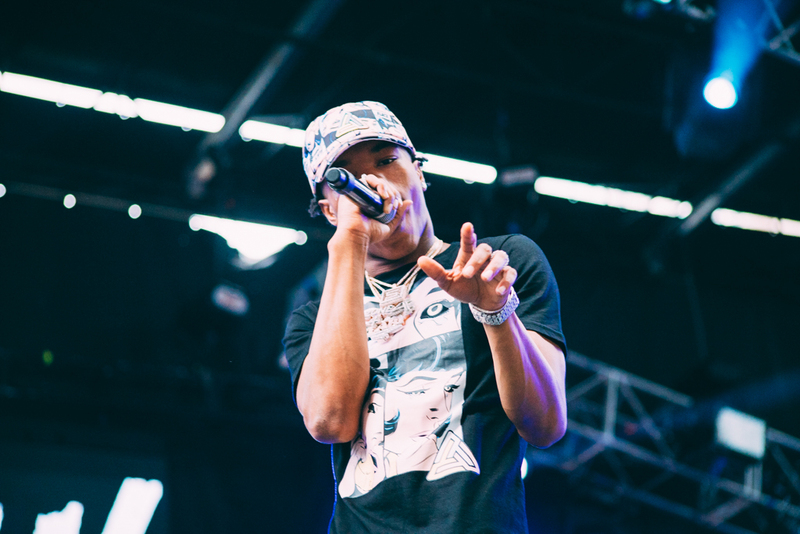 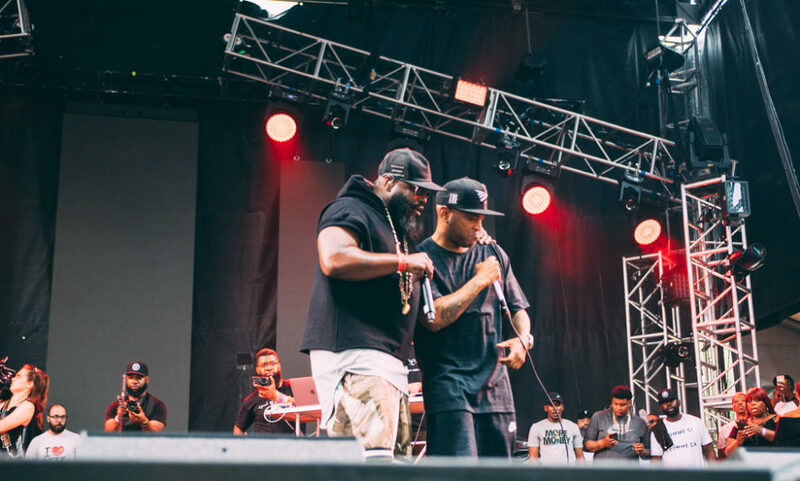 With each rapper running through a slew of their own hits and Thought adding in expert verses to that raised eyebrows as well as hands, plus an well timed tribute to fallen rapper Prodigy of Mobb Deep, who graced the same stage just 1 year ago, this year’s Mixtape was one of the the highlights of the entire festival. 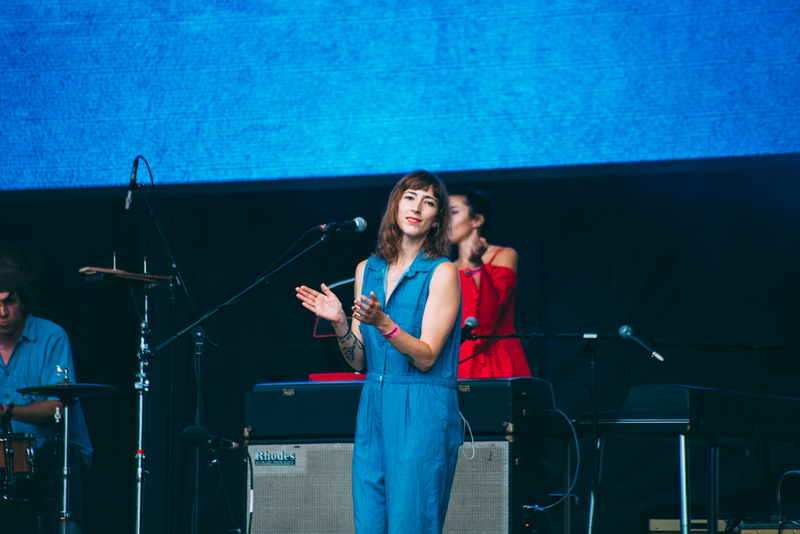 As the crowds grew darker, the energy seemed to wane a little bit during Dirty Projectors set at the South Stage. 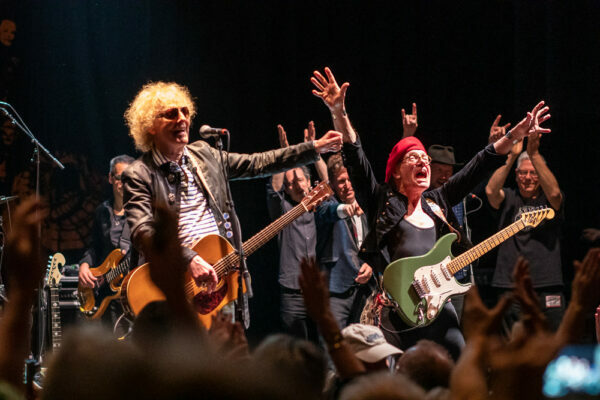 A handful of folks seemed familiar enough with the tunes and were very engaged by I saw a lot of people jockeying for a good spot for the next act. 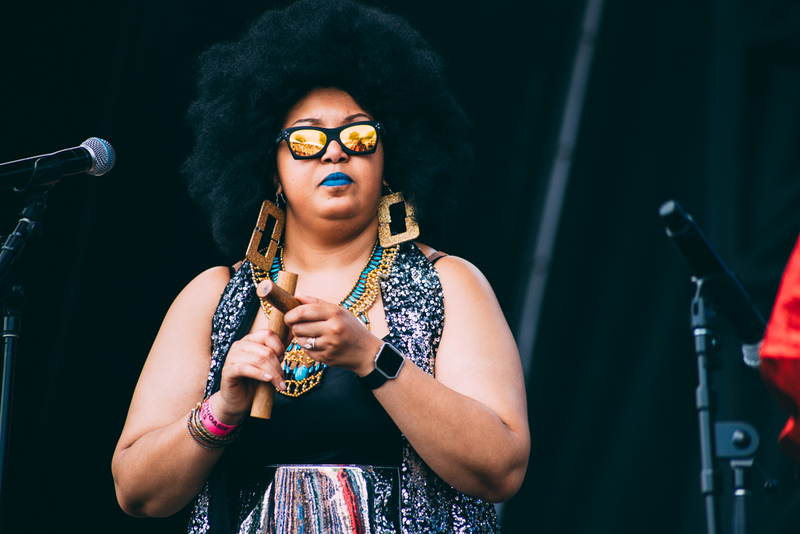 One of the tunes did catch my ear however as I strolled by and I did catch a lone woman hoola hooping gleefully along in time with the music. 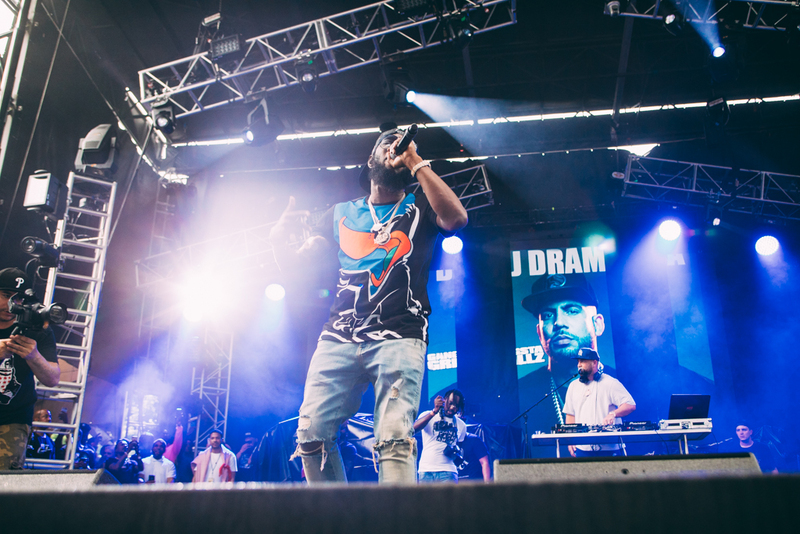 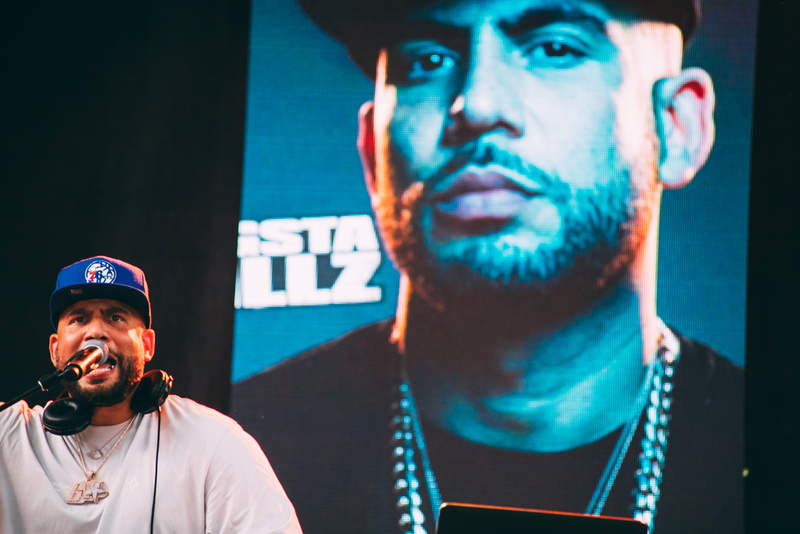 DJ Drama was a surprise for me, as I was not expecting him to emerge from behind his laptop as many times as he did. 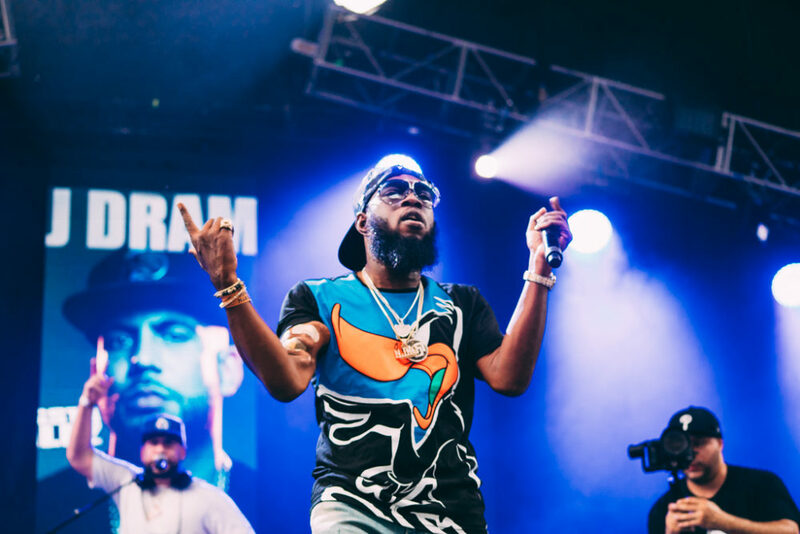 Along for his set was none other than Freeway, who I’m glad to say was looking quite energetic despite his medical woes, Lil Baby, and T.I., whose set I happened to miss as I was frantically running to get an ice cold lemonade from the concession stand. 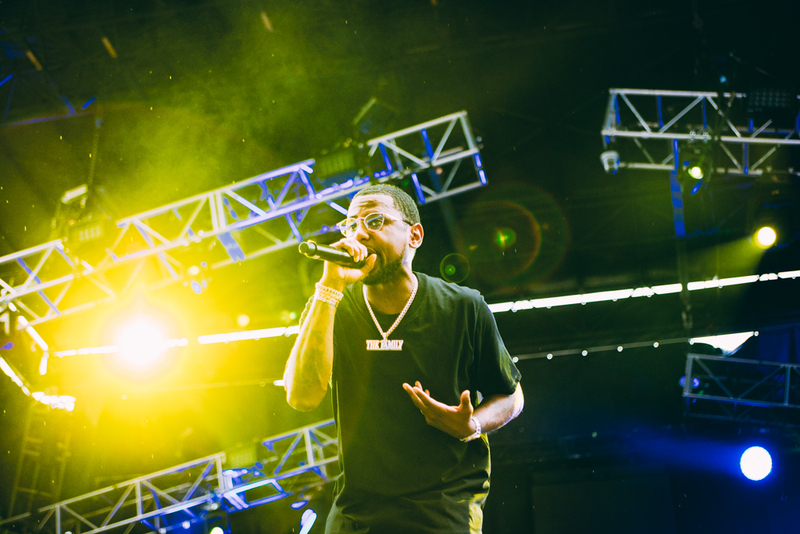 For the first time of the day, the small Oasis stage was packed to overflowing for none other than The Diplomats, aka Dipset. 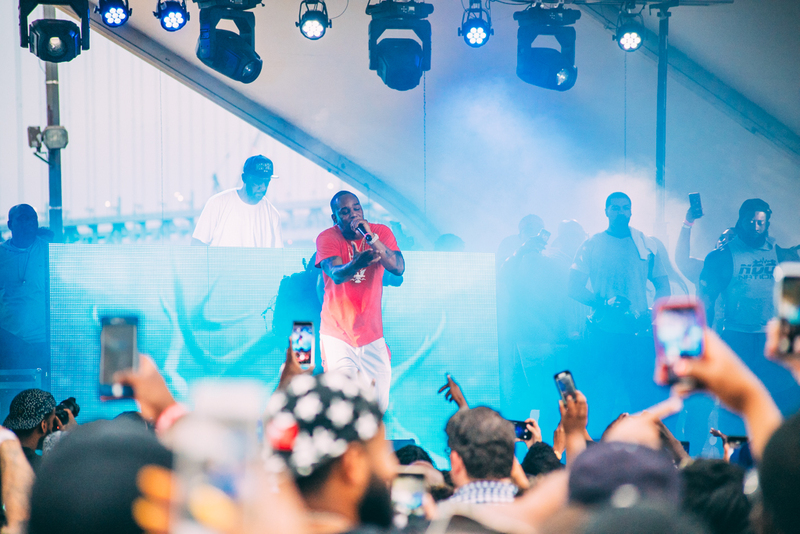 Sadly, Juelz Santana remains on house arrest for his gun issues, but Cam’ron made sure to carry the torch for the both of them. 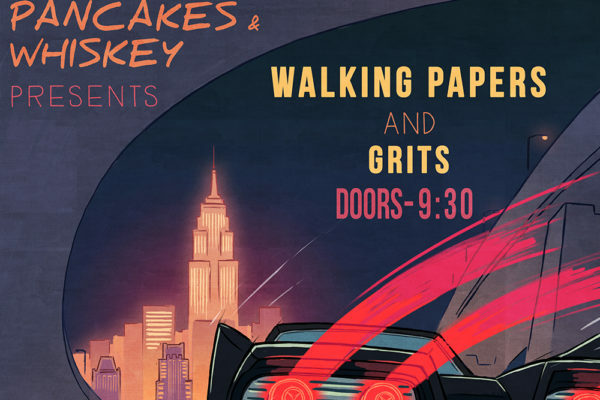 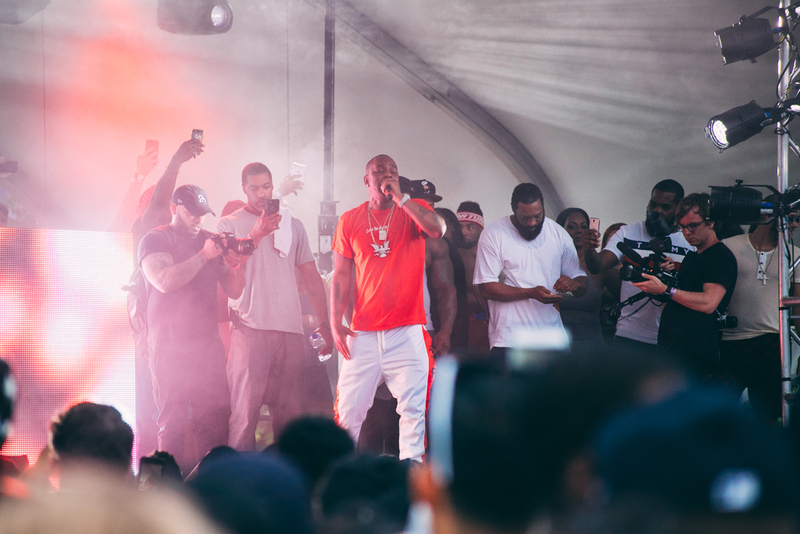 I have to admit as a child of the 80’s and being old enough to remember the 90’s as the peak hip hop era, it was so good to see Cam’ron onstage alongside Jim Jones, Freekey Zekey again. 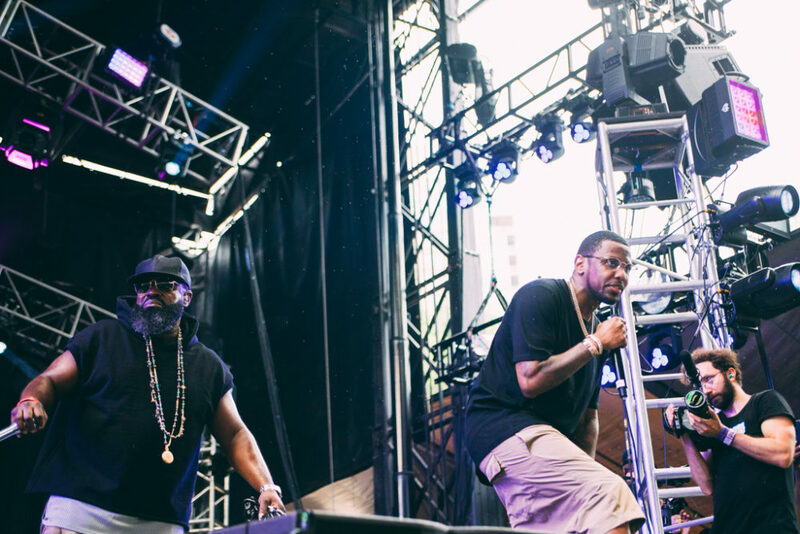 Part of me wished Cam’ron had showed up in that baby pink fur coat too. 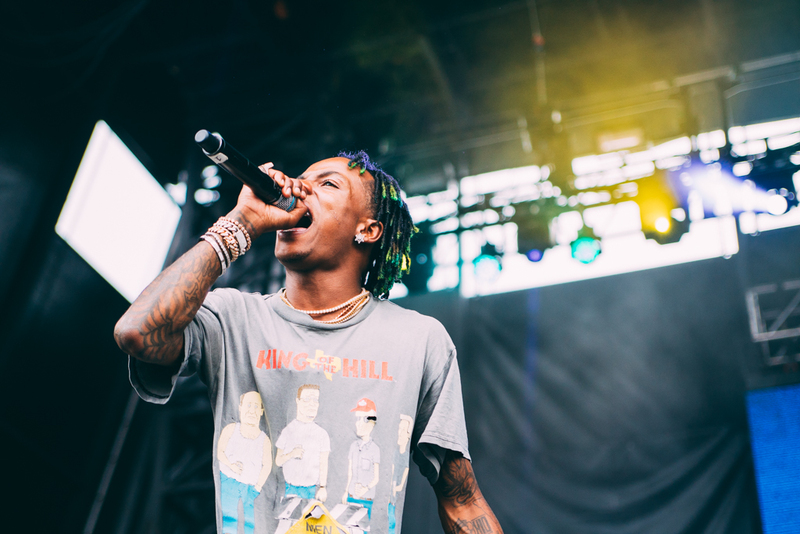 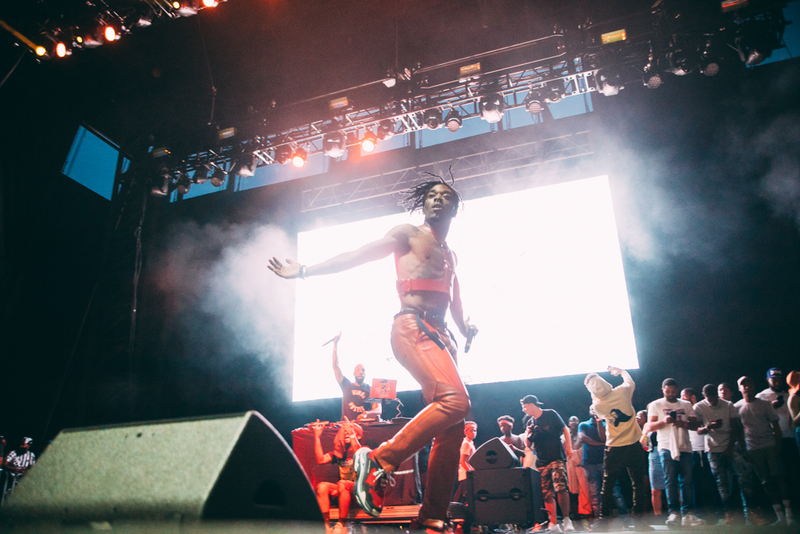 The last act of the evening on the South Stage was none other than Lil Uzi Vert. 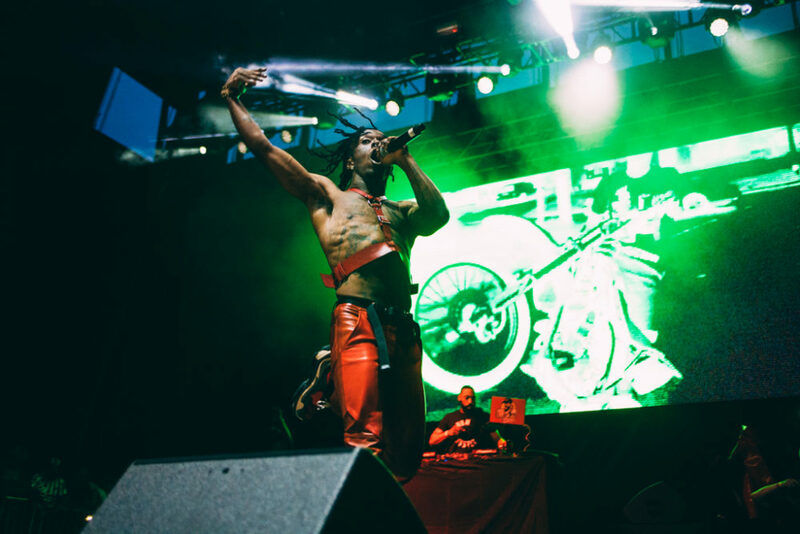 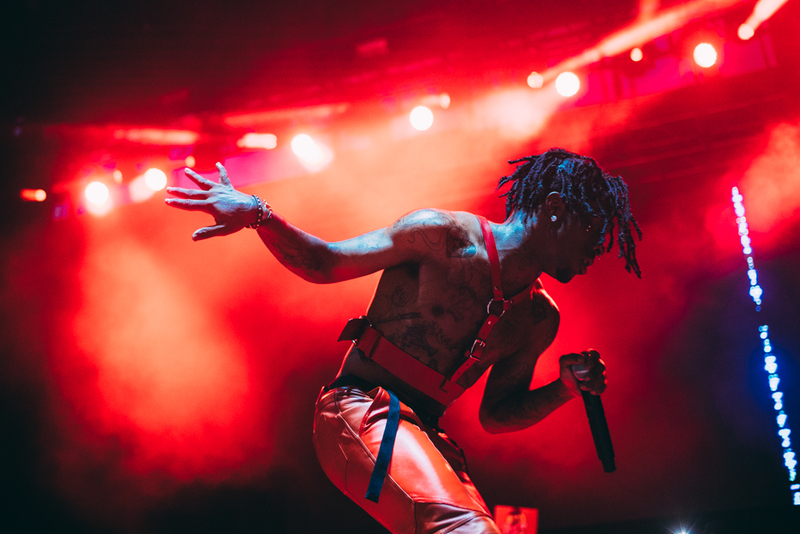 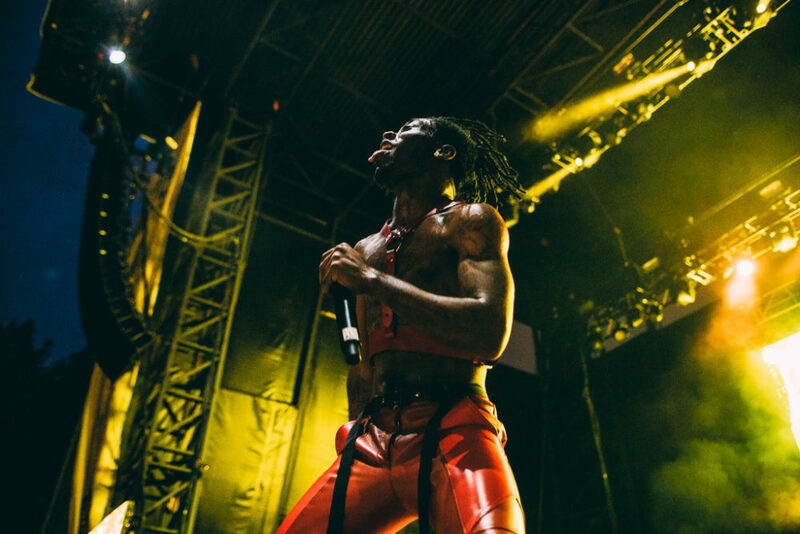 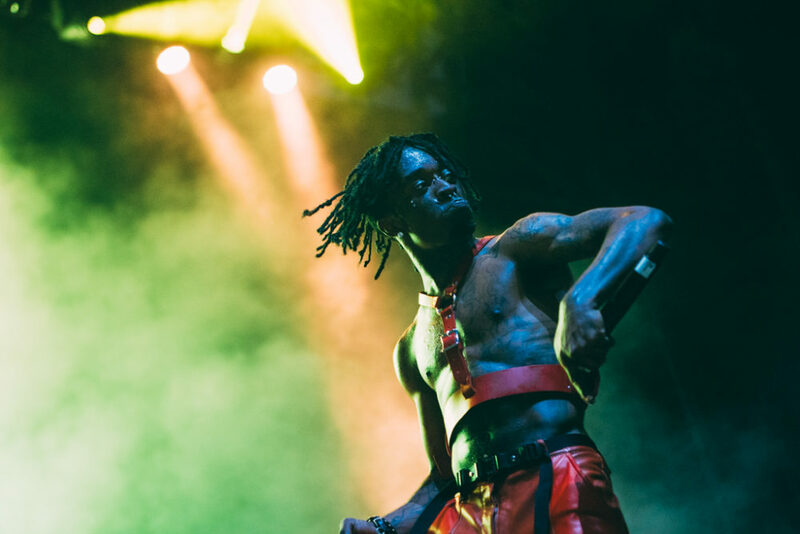 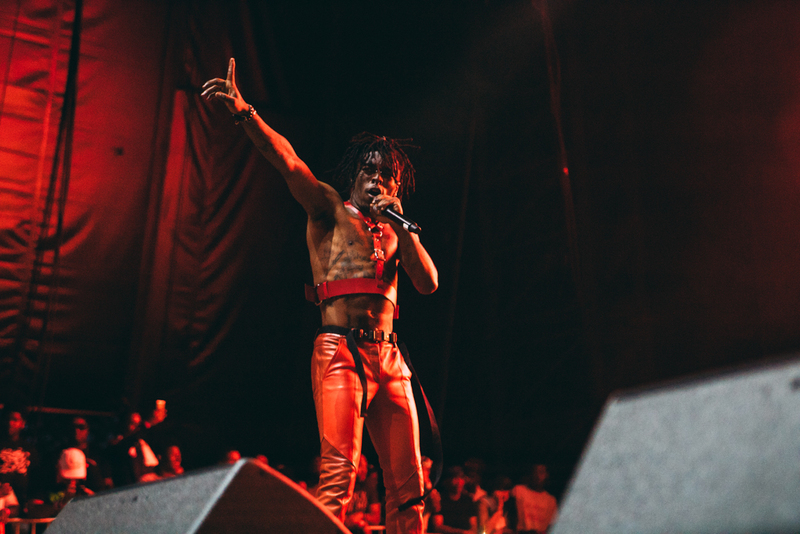 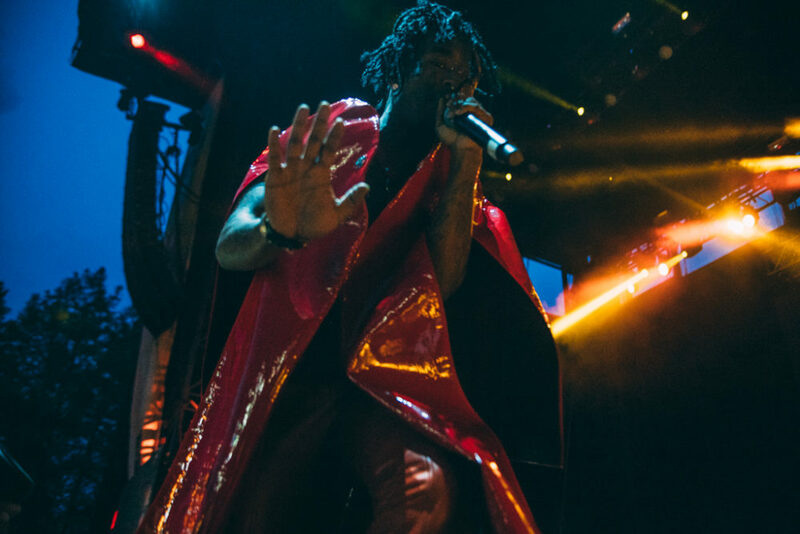 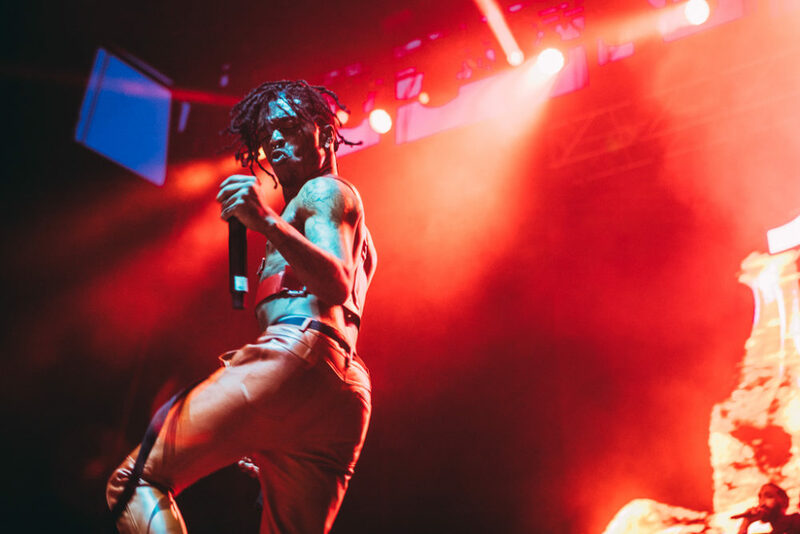 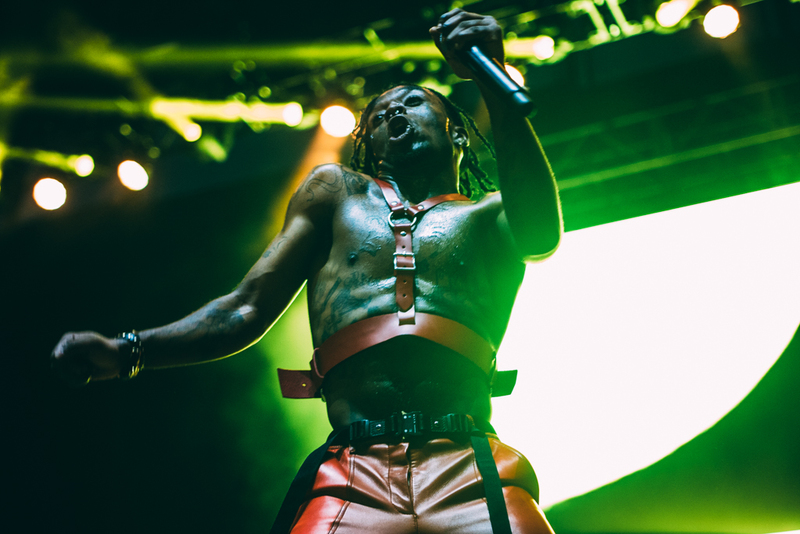 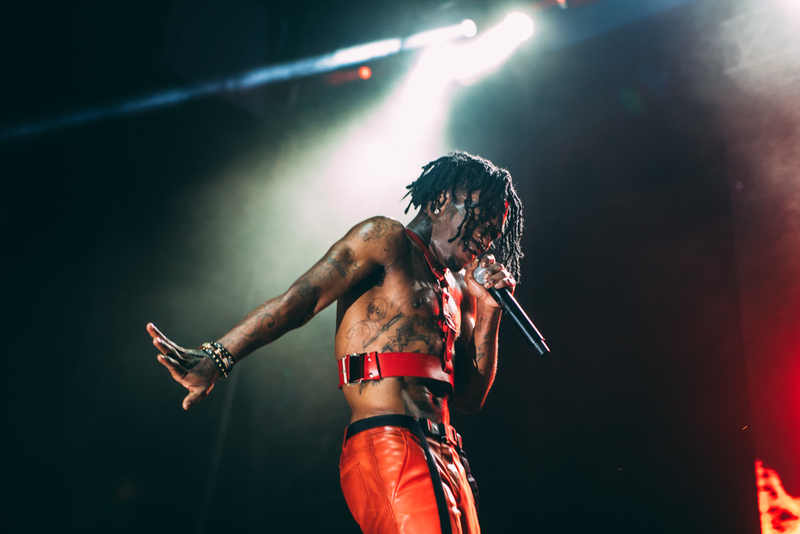 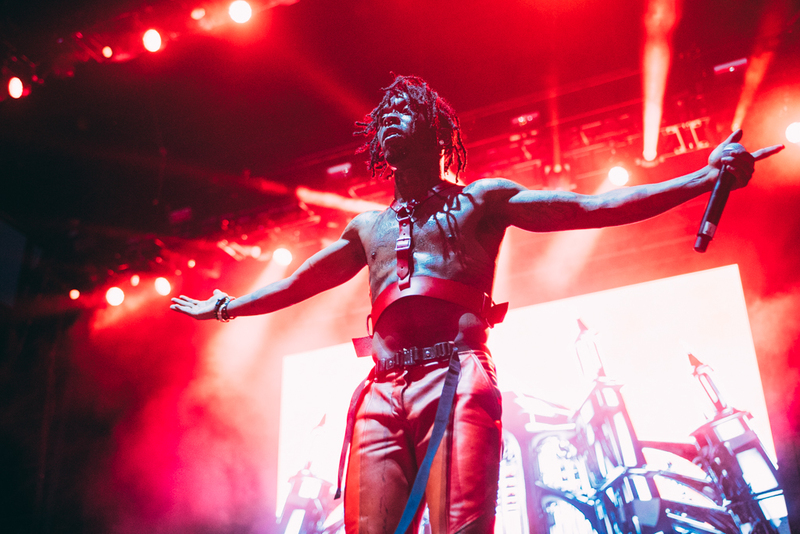 Armed with his own security of at least 6 guys that were as large as grizzly bears, Uzi took the stage in a red cape, red harness and red leather pants. 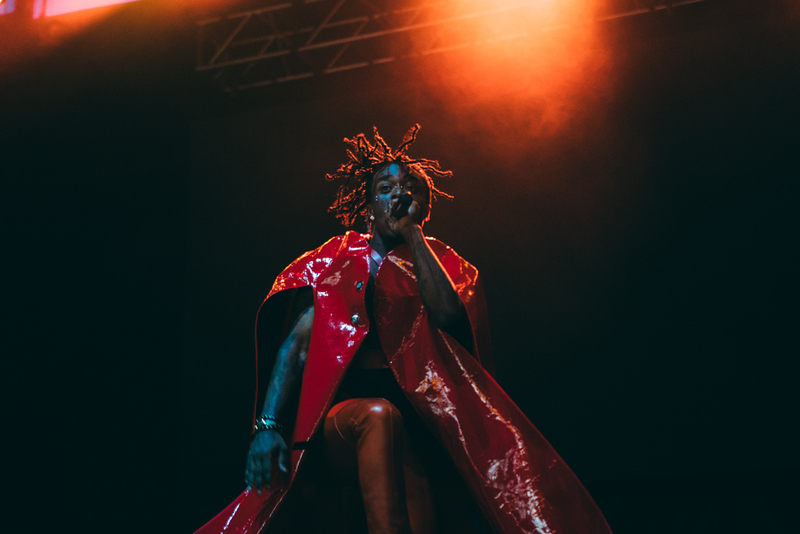 Urging us to “get photos of his cape” before it was quickly tossed aside, the crowd was beyond amped for anything Uzi had to give us. 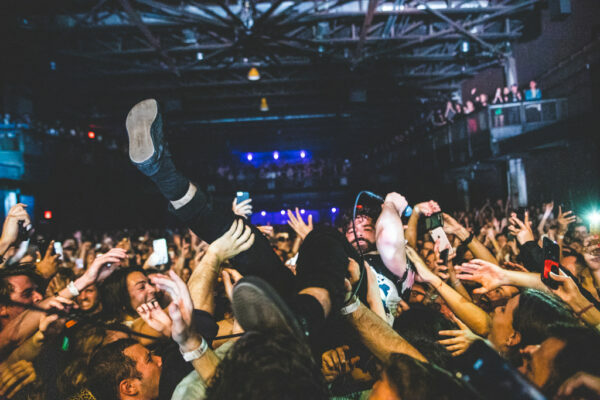 From flinging water into the crowd, to flinging himself into the crowd, his wild antics upped the intensity tenfold. 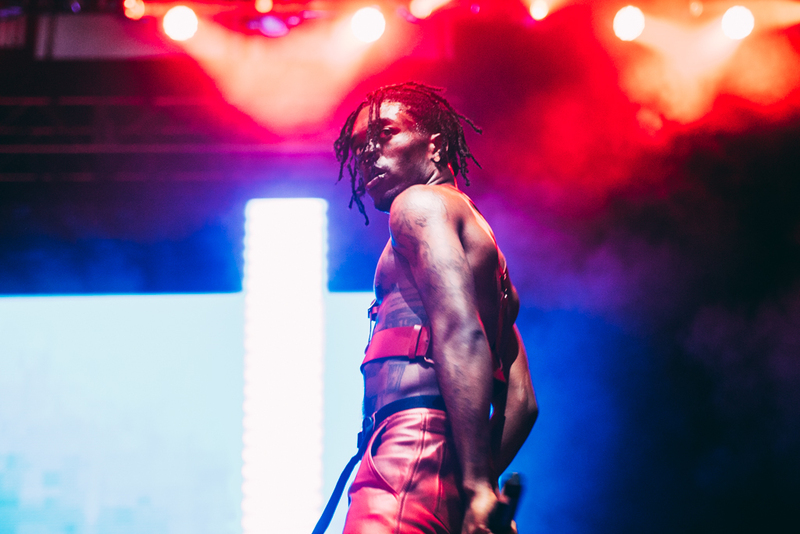 I was tossed aside more than once as his overgrown security raced into the crowd to make sure Uzi made it back alive. 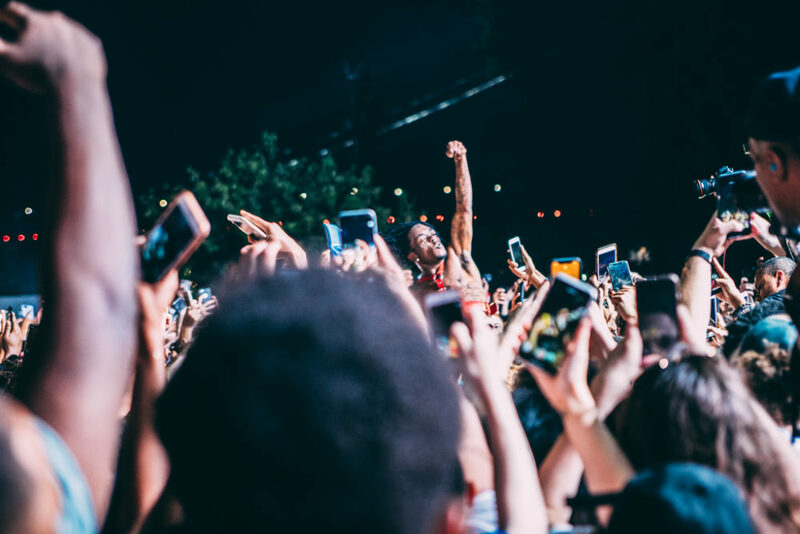 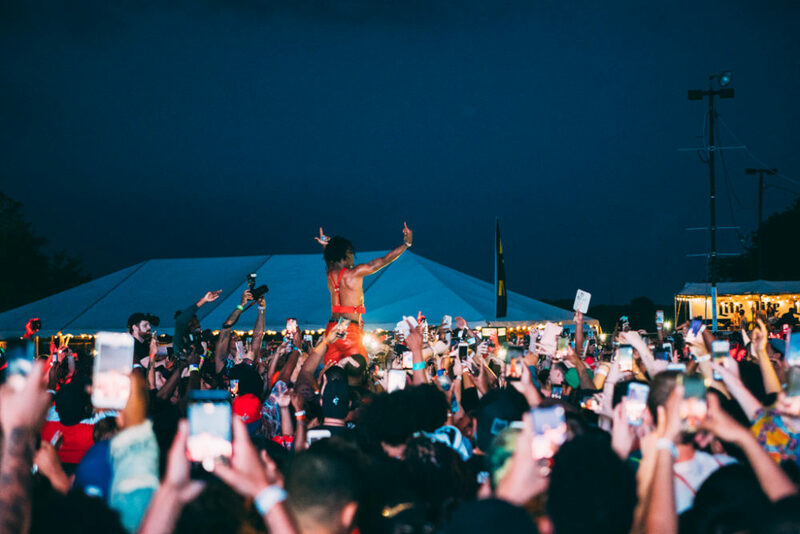 Phones were held high in the air, struggling to capture any footage for Instagram or Snapchat as Uzi raced around the crowd, before hopping back onstage to bust out all the most popular dance moves that my old knees are clearly too fragile to attempt. 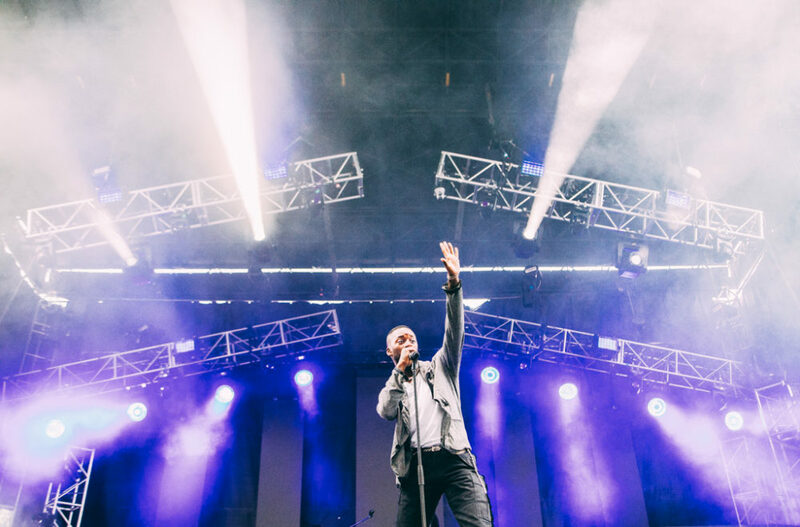 As the crowd came down from their high from Uzi’s set and made their way to the North Stage for the festival closer with Dave Chappelle, The Roots, and special guests, there were several signs posted continuing Dave’s apparent ban on recording his appearances in any way, shape or form. 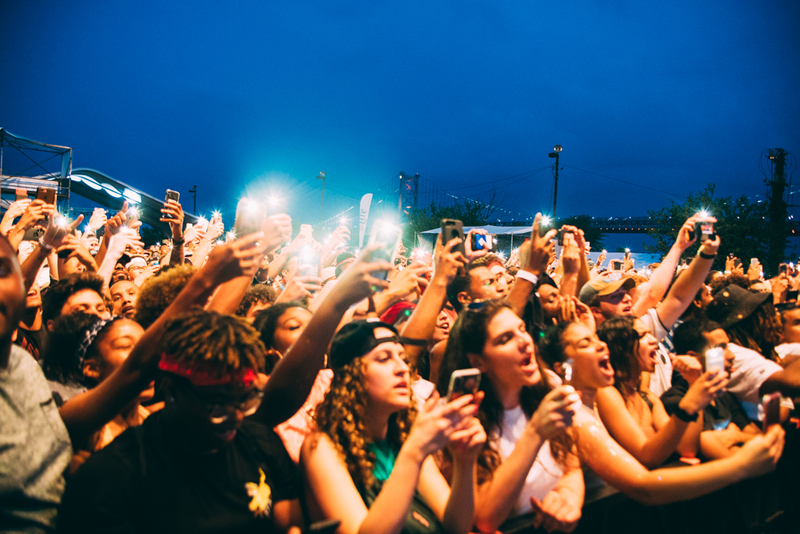 Phones were placed in locked pouches as people got closer to the stage. As Dave departed the stage after introducing The Roots and everyone was just settling in to groove along with the music, Mother Nature apparently had her own idea of how the festival would close and unleashed a monumental thunderstorm complete with thunder and lightning. Everyone under the tent stood their ground hoping it would just blow over, but as the winds progressed and more people scrambled out of the festival area as the storm intensified, sadly, the rest of the show was canceled. 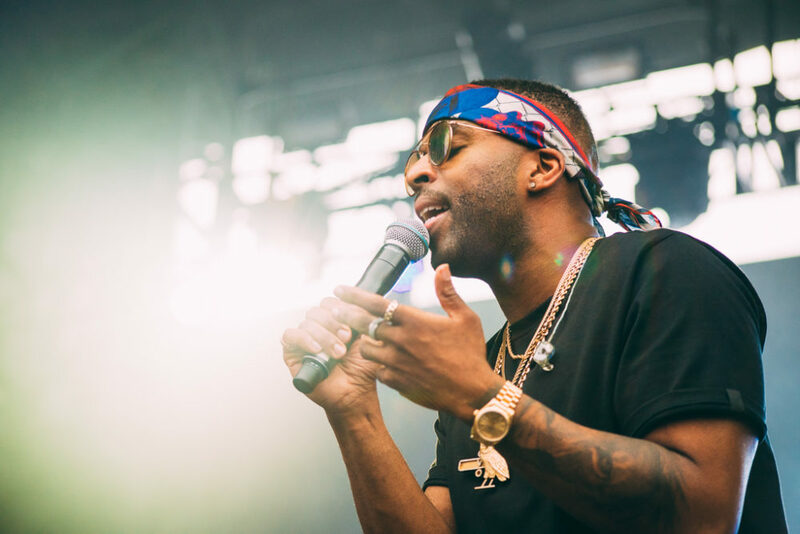 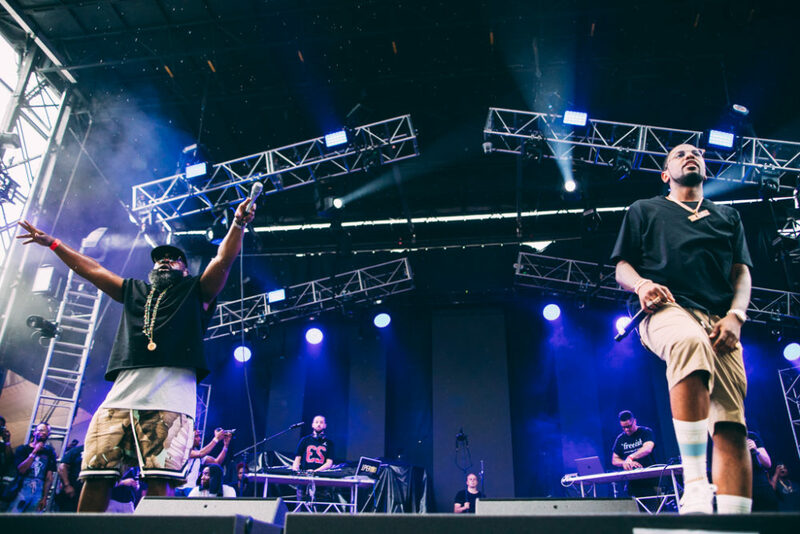 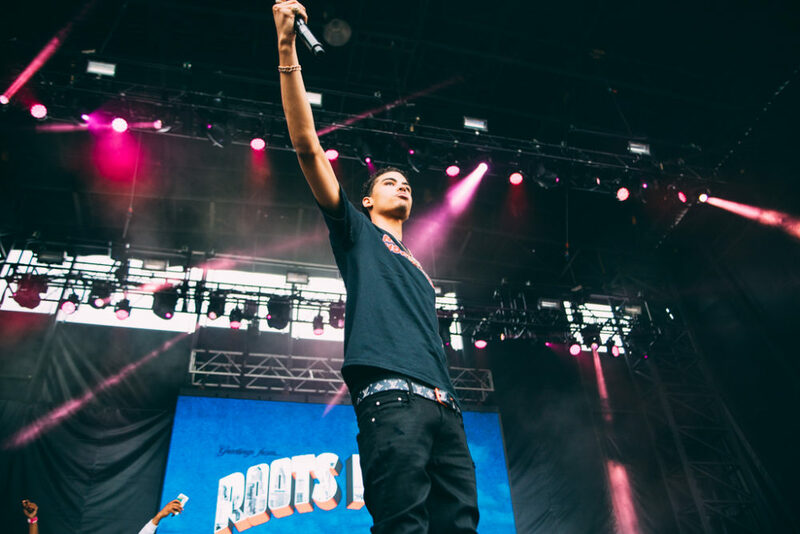 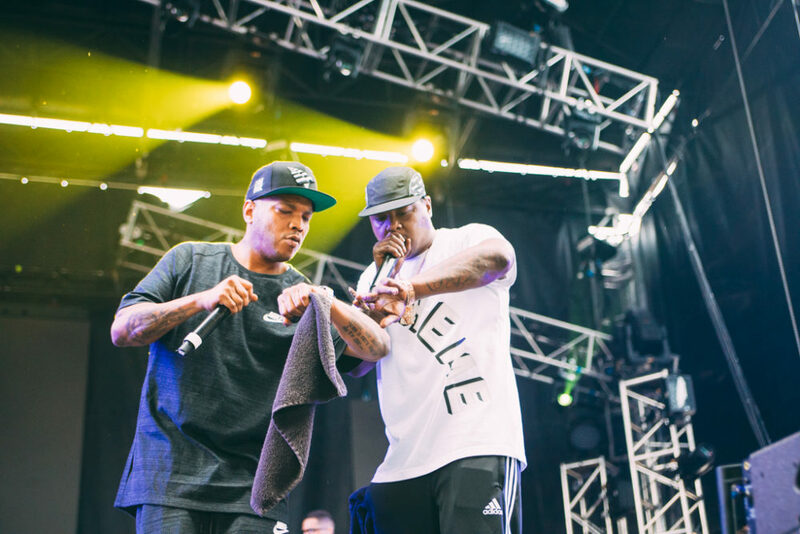 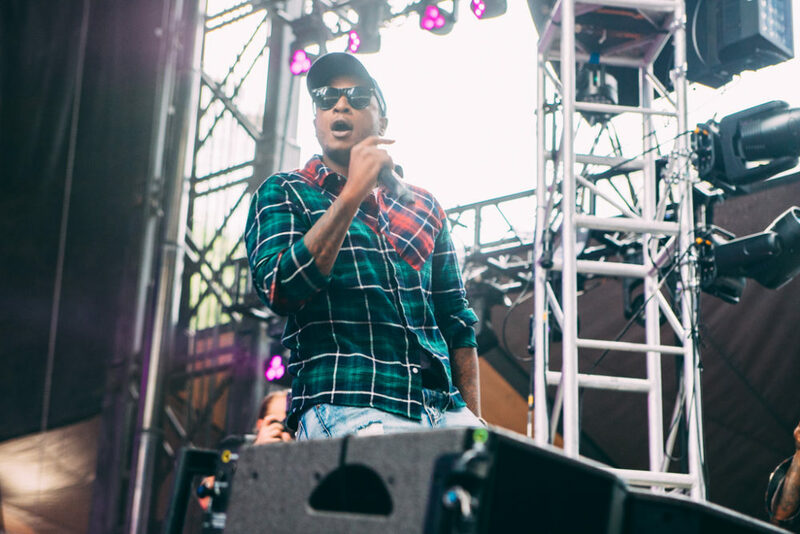 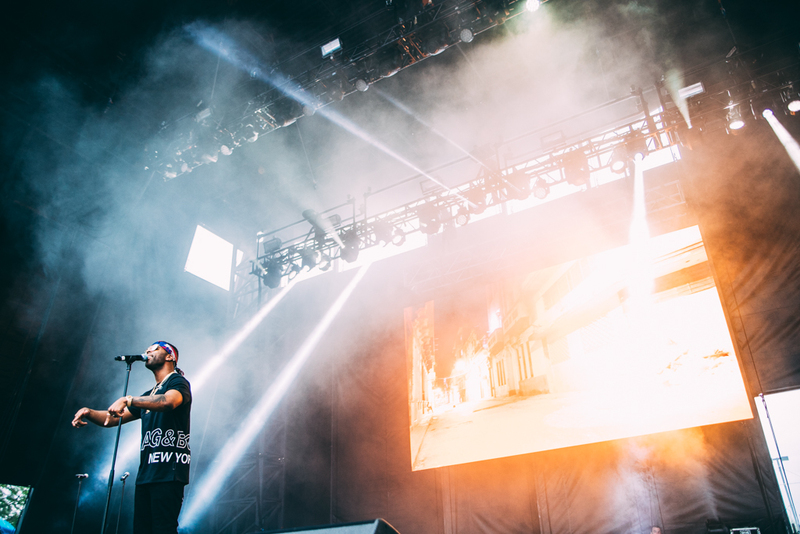 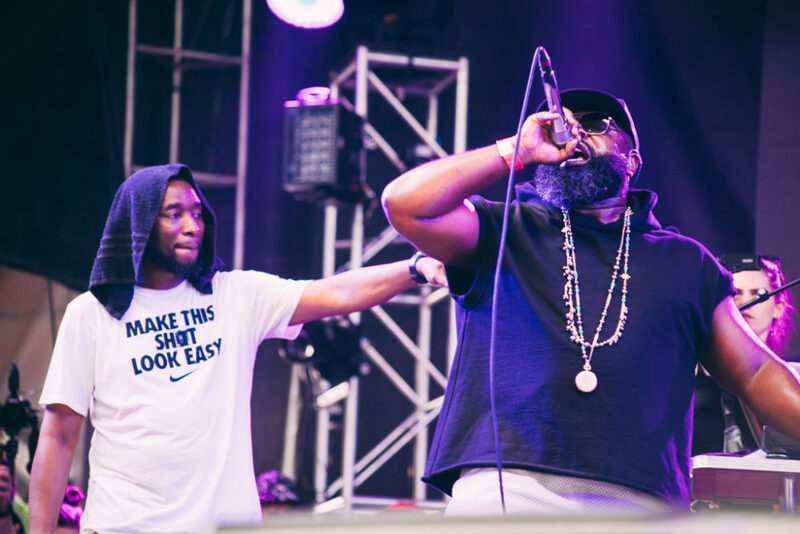 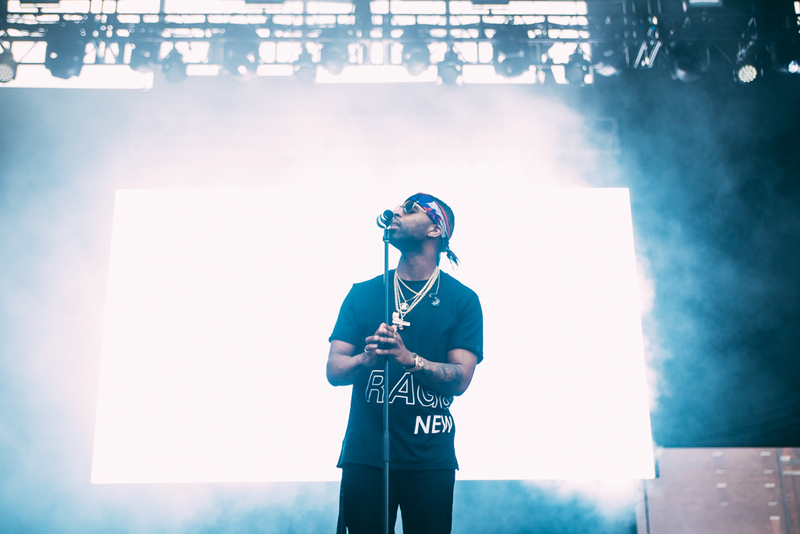 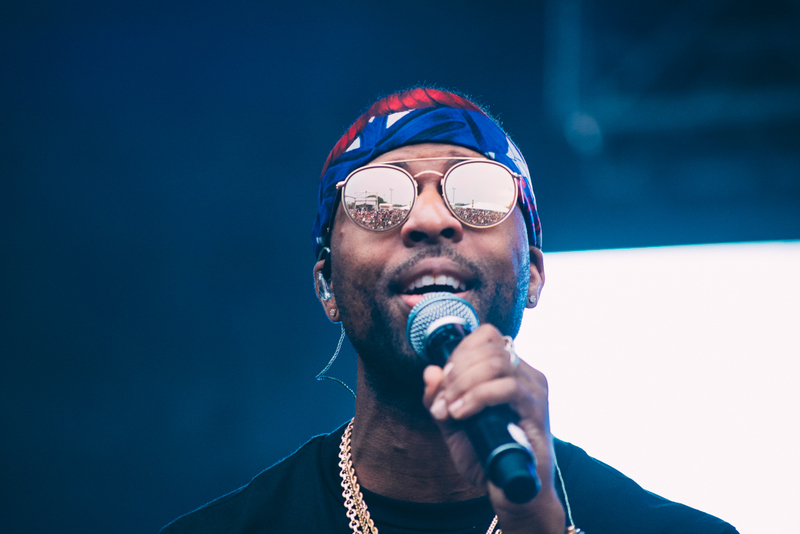 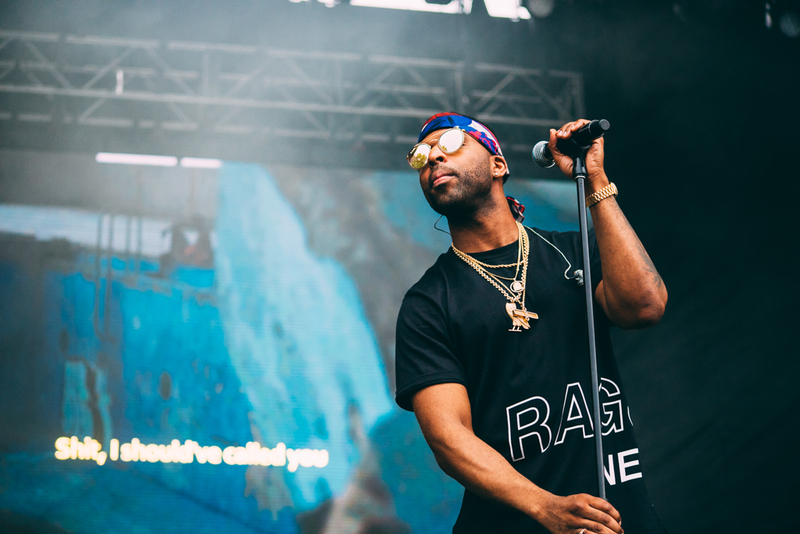 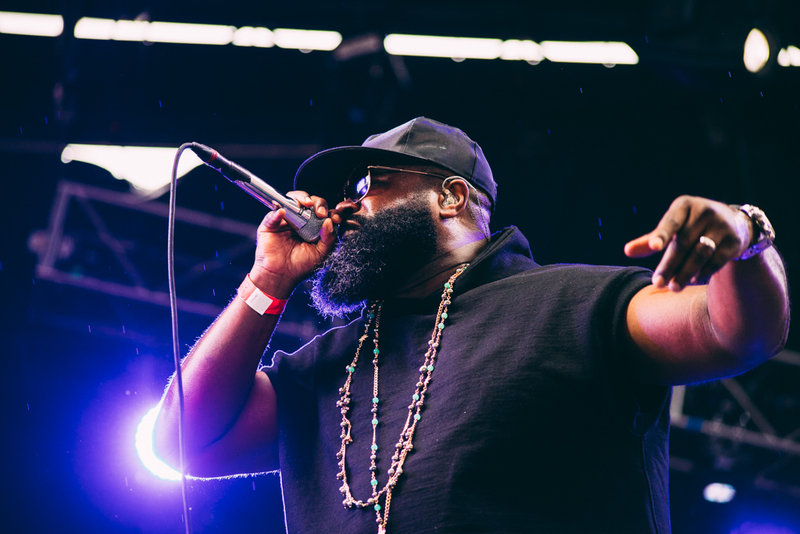 With the special guests revealed to be 2 Chainz, Common, Brandy and M.O.P., The Roots’ 11th iteration of the festival would closed out in spectacular fashion. 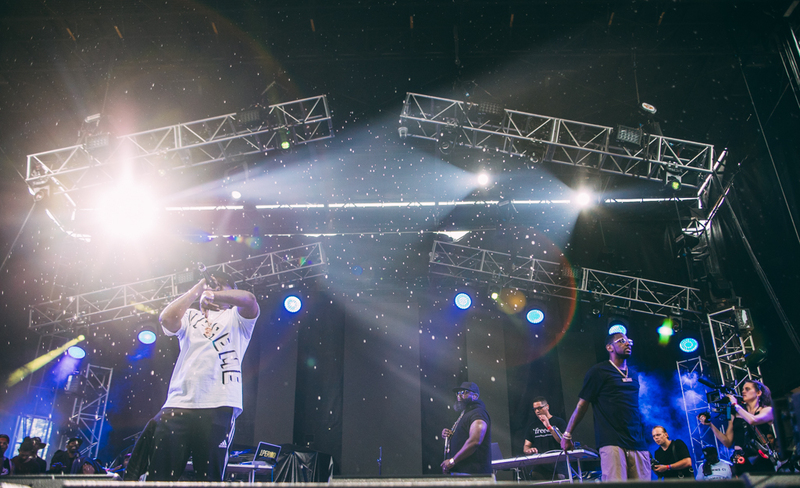 Who knows, maybe they’ll return next year for lucky number 12.